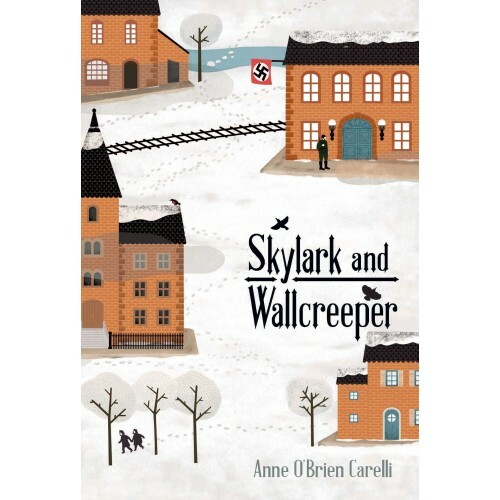 11-year-old Nan Sparrow is a 'climbing boy,' an orphan owned by a chimney sweep to do the dirty, dangerous work of cleaning flues in Victorian London. But, Nan isn't a boy and she's quite possibly the best chimney climber who ever lived, beating the odds again and again... until the day she's trapped in a chimney fire. When she wakes up safe in an attic, she discovers that she was saved by a mysterious creature — a golem — made from ash and coal. Together, the two outcasts will need to evade Nan's abusive boss and figure out how to create a better life in a world that's quick to label differences as monstrous. 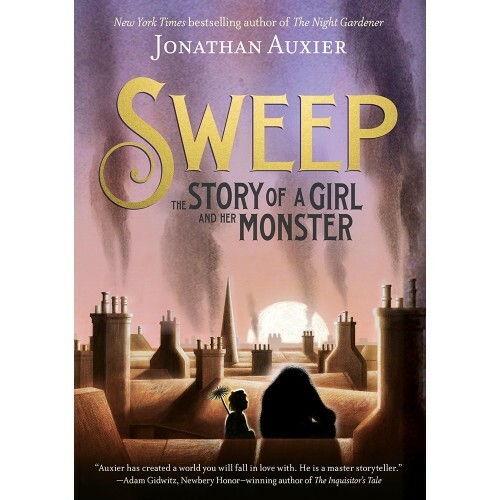 Told by master storyteller Jonathan Auxier, this powerful and heartwarming tale explores the search for home and family, in whatever form they take. Willa's Faeran clan once acted as stewards of the Great Smoky Mountains, but their numbers are declining, and under their current leader, the padaran, their old ways of foraging and caretaking are forbidden. Instead, he directs children like Willa to steal from human homesteaders, who she has been taught to despise. But when she is wounded breaking into a cabin one night, she's shocked when a human man tries to help her. And, when she discovers the padaran imprisoning human children, she begins to question everything about her society and its leader. Willa will have to stand up to evil around her with compassion and strength if she is going to save her people. This powerful story from the author of the best-selling Serafina series is full of magic, adventure, and hope. Leonora's mother, aunt, and older sisters run the best bakery in Rose Hill, Texas, and Leonora wants to help prepare for Dia de los Muertos — but once again, they tell her she's too young. 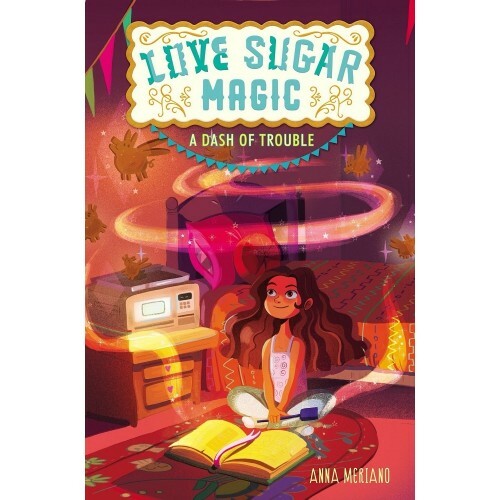 One day, when Leo sneaks down to the bakery, she learns why: they are all brujas, witches of Mexican ancestry, and they bake a little delicious magic into every bite! Leo's sure she's old enough to learn magic too, so when her best friend has a problem, she decides to dig into the family recipe book. But Leo doesn't read Spanish, so deciphering the recipes isn't easy... and when things go awry, Leo learns that her family will support her but she has to fix her own mistakes! 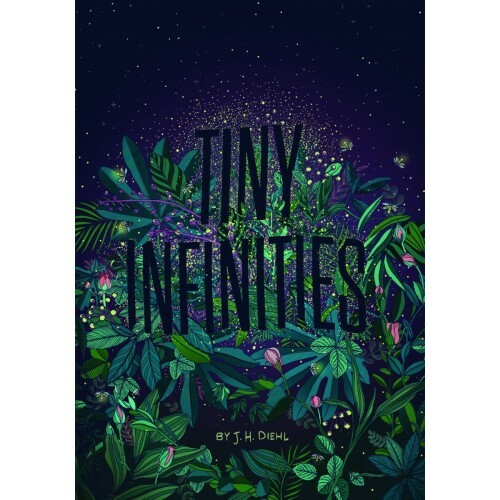 This charming story effortlessly weaves together Mexican, Texan, and American cultures and adds a dash of mystery and magic to delightful effect. 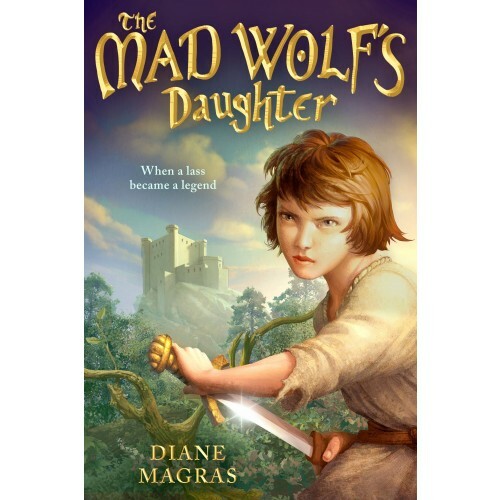 For years, 12-year-old Drest has trained as a warrior, but has been protected by her father, the Mad Wolf of the North, and her five loving brothers, the mainstay of his early 13th century Scottish warband. But when her father and brothers are captured by invading knights — and scheduled to be executed in five days — Drest comes up with a daring rescue plan: travel to Faintree Castle and trade an injured knight for their freedom. On the dangerous journey, she meets allies and enemies alike, and starts to hear stories about her father and brothers that contradict her image of them as just and moral warriors. Drest will have to race against time through a world she's never navigated alone if she's going to learn the truth about her family and save the day. This fast-paced and riveting adventure story explores the complexity of morality, friendship, and family loyalty. Amal dreams of being a teacher, but as the oldest daughter in her Pakistani family, she has to stay home from school to care for her siblings. She plans to find other ways to continue her studies, but an accidental run-in with the son of the village's corrupt landlord turns her life upside down: she is forced into indentured servitude at his estate to pay off her family's debt. But Amal's ability to read provides her with a shocking — and dangerous — opportunity to expose the Khan family's corruption. This powerful novel with a courageous and intelligent main character is a celebration of education, resistance, and hope. Five years after her first visit to her grandmother's house in Australia, Livy is back — and feels like there's something important she's forgotten about her last trip. What she forgot was Bob: a small, mysterious being dressed in a chicken suit. She promised to help find his family… and Bob remembers her promise, even if he doesn't remember his way home. Together, Livy and Bob will have to puzzle out the clues to where Bob comes from — and along the way, they'll learn truths about friendship, love, and the joys of childhood. 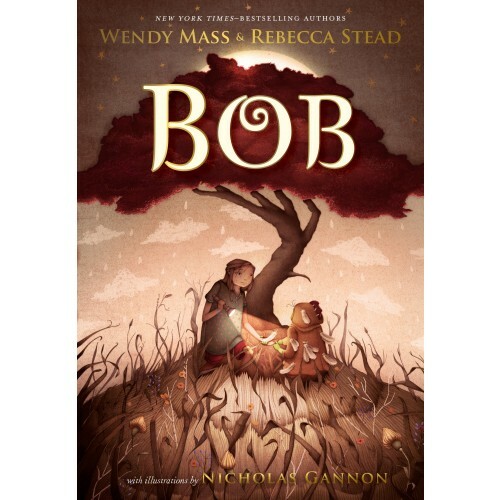 Told in alternating chapters in Livy and Bob's perspectives, this irresistible story explores friendship, belonging, and the magic of storytelling. Twelve-year-old Nisha is half-Muslim, half-Hindu, and in 1947, when Pakistan and India have just separated, she feels like she doesn't know where she belongs. After losing her mother as a baby, she's desperate to cling to the familiar. But when her father decides it's too dangerous to stay in Pakistan, Nisha and her family set out as refugees in search of a new home, first by train and then on foot. It's long and dangerous travel, but Nisha still believes that the future will be bright. In a series of letters to her mother, Nisha relates her journey and explores the search for home, identity, and hope. 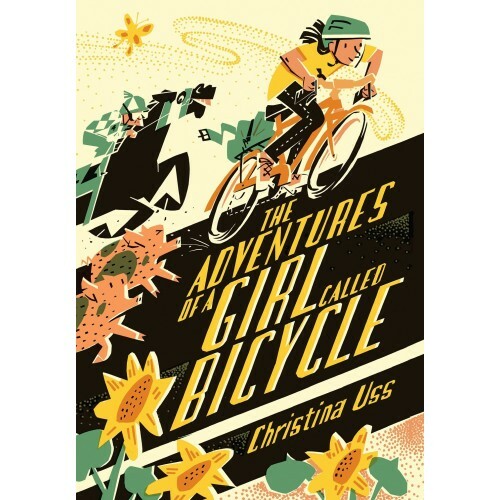 In this quirky story, 12-year-old introvert Bicycle has been raised by Sister Wanda in the Mostly Silent Monastery since she was left there as a three-year-old. But Sister Wanda is worried that Bicycle doesn't have any friends, so she declares that she's going to sleepaway camp at the Friendship Factory (“Three Guaranteed Friendships or Your Money Back.”) Bicycle has other ideas, and sets off on her own bike for California, aiming to meet her hero, Polish cycling racer Zbig. Along the way, she encounters a good-natured ghost, a mysterious woman in black, and an unexpected number of new friends! Hilarious, and charming, this adventure celebrates the call of the open road and the joy of friendship. 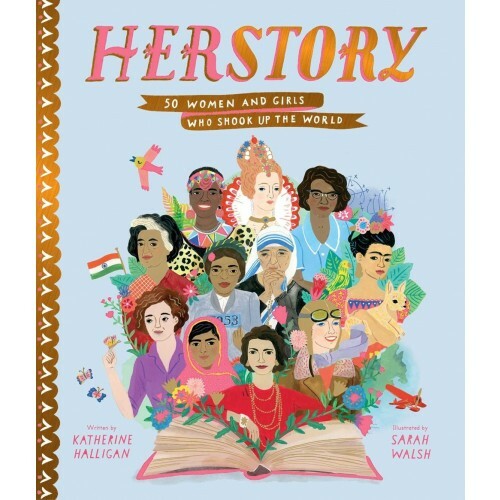 Teach kids about HerStory with this uplifting book that tells the story of 50 intrepid women, past and present, from around the world! Each spread tells stories of the woman's childhood, the obstacles they faced along the way, and the way they changed history. Rather than being divided by historical period, this book divides its subjects by the work they did, using the intriguing categories Believe and Lead, Imagine and Create, Help and Heal, Think and Solve, and Hope and Overcome. 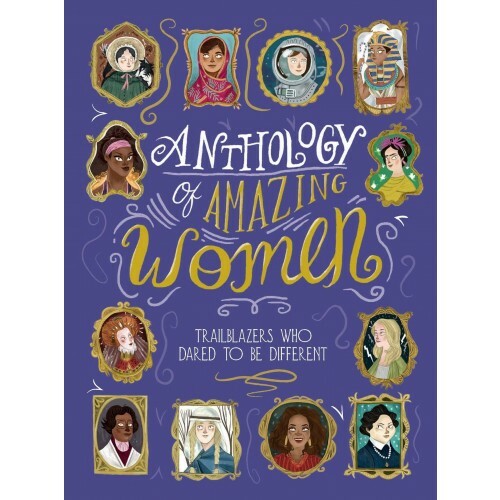 Vibrant illustrations and a diverse picture of the world make this the perfect introduction to women's history. When Maria Merian began studying the world around her, bugs were considered to be "beasts of the devil." Everyone knew they spontaneously generated from mud; why would anyone want to study them? 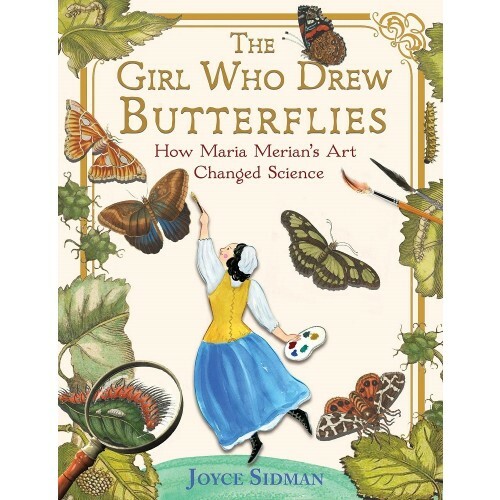 Merian's curiosity drove her to examine even these creatures, and through her notes and her art, she successfully documented something miraculous: the metamorphosis of the butterfly. This stunning biography, which is beautifully accented by full-color original artwork from Merian herself, provides an exciting look at one of the first female entomologists and her lifetime of exploration. 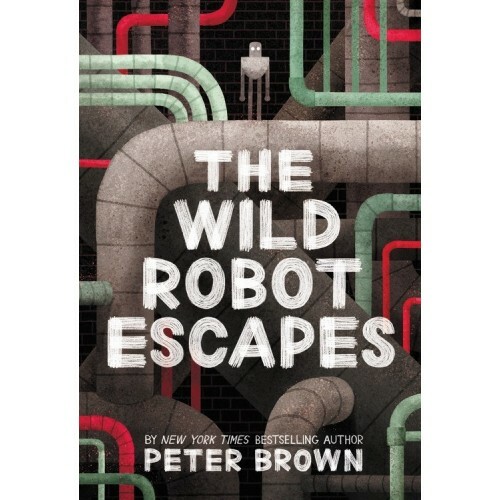 Shipwrecked on a remote, wild island in The Wild Robot, Robot Roz learned from the unwelcoming animal inhabitants and adapted to her surroundings — and then the humans came. In this book, Roz has been reprogrammed to follow the orders of humans, but desperately misses her animal friends and island home. Fortunately, she has a few human allies who may be able to help her get back home! Fans of this heartwarming and action-packed series will love this volume — or you can introduce a reader to the series with the Wild Robot gift set. Merci is full of confidence and drive, but sixth grade will test even her. 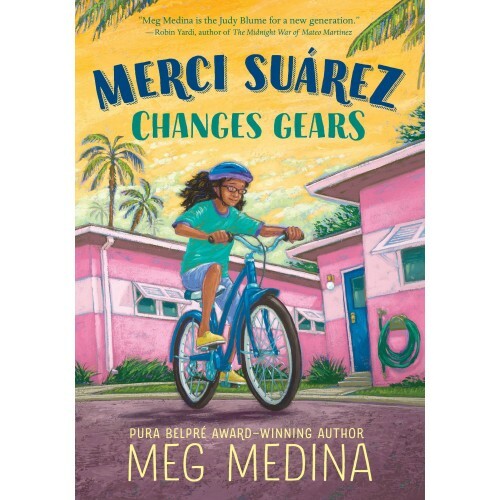 As a scholarship student at her Florida private school, she's always felt different from her peers, and this year, her required community service makes Merci the target of the school queen bee's jealousy. Meanwhile, her grandfather Lolo has been acting strangely, from forgetting things to getting angry over nothing, and no one will tell her what's going on. Fortunately, her take-charge personality helps her overcome all the bumps in the road! 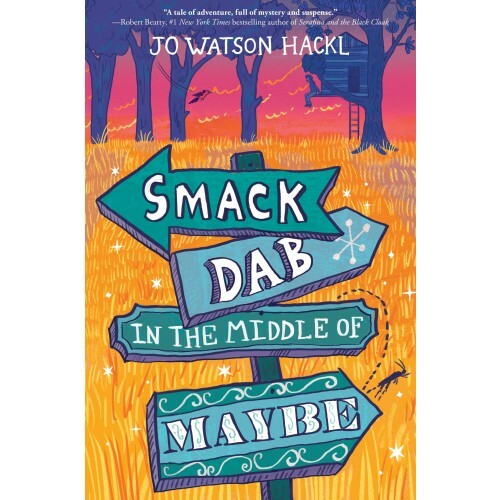 This coming-of-age tale stays light, while still tackling tough issues facing many middle-grade kids. 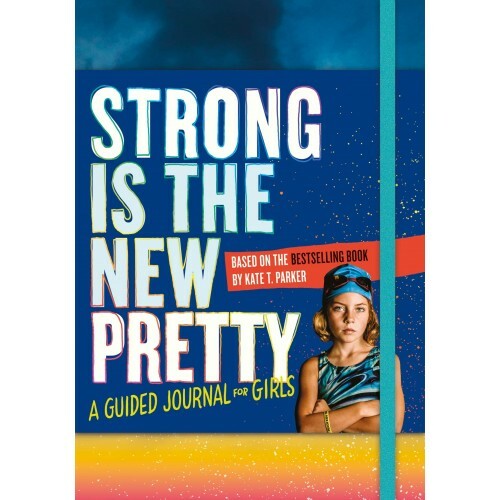 Inspired by Kate Parker's bestselling photo book Strong Is The New Pretty, this guided journal is designed to help tween girls discover and celebrate their independent, wild, silly, and mighty selves! 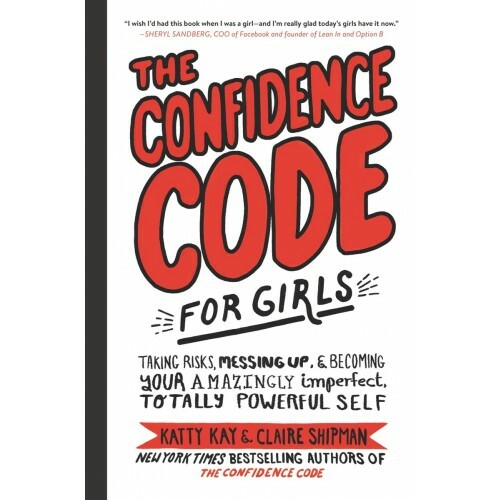 Illustrated with photographs from the book, as well as 20 new ones, each page features an inspiring, interactive prompt that encourages girls to learn more about themselves through writing, doodling, and creative self-expression. As girls complete the fun prompts such as "Draw a picture of yourself as a superhero — what is your superpower?" and "Whom do you admire? Draw them here, and write your reasons why", the journal becomes a source of inspiration and motivation to be their most powerful selves. Bookmobiles have brought libraries and literacy to thousands of rural residents — but did you know that the first Book Wagon was created by a woman? 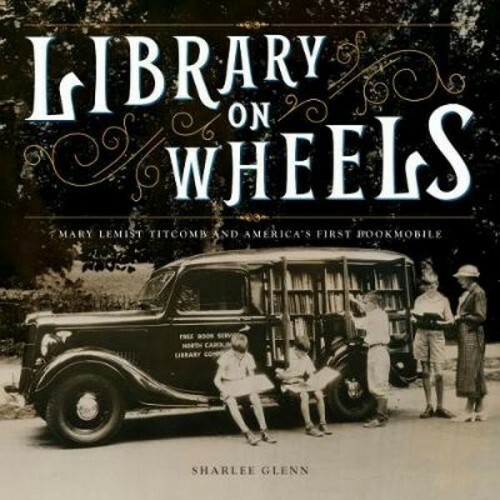 Mary Lemist Titcomb worked for the Washington County Free Library in Maryland, and knew that people who lived outside of town struggled to access the books she had to offer. So she started a horse-drawn Book Wagon that would go to them! The idea caught on, and by 1922 the idea of a mobile library was widespread. This biography recognizes the forward-thinking woman who knew that distance should be no obstacle to literacy. 10-year-old Mia Tang has a lot of secrets. For one, she lives in a motel, not a big house, and while her immigrant parents clean the rooms, Mia manages the front desk. Number 2: Her parents hide immigrants — and if the mean motel owner, Mr. Yao, finds out they've been letting them stay in the empty rooms for free, the Tangs will be doomed. And third, she wants to be a writer, even though her mom thinks English being her second language means Mia should stick to math. With enough courage, determination, and kindness, however, Mia might be able to help out her family and the other immigrants and pursue her dreams. 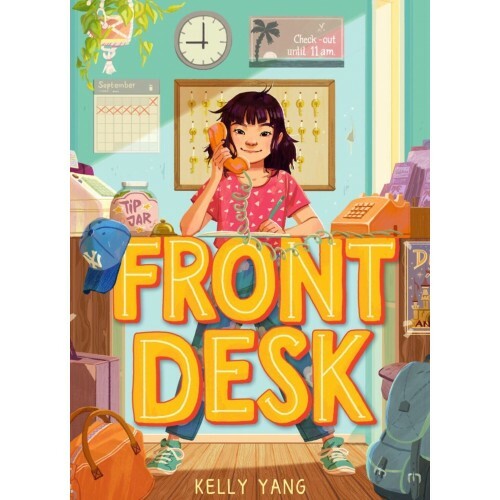 Based on author Kelly Yang's own experiences in the 1980s and 1990s, this engaging story offers young readers an eye-opening look at the immigrant experience and the power of one girl to make a difference. 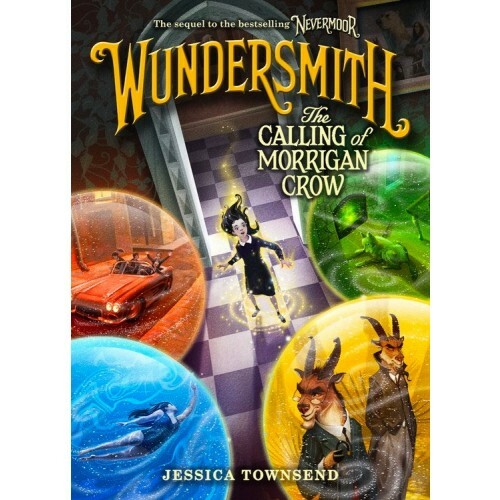 Morrigan Crow has successfully won a spot in the Wundrous Society — along with nine of her peers and former fellow competitors — but while their various knacks are considered assets, Morrigan is told that her power is dangerous and must be suppressed, and that all past Wundersmiths have been evil. Meanwhile, members of the Society are going missing, and someone is turning Morrigan's few friends against her — and Ezra Squall, the evillest man ever, is trying to lure he with promises of teaching her more about the Wunder. This immersive sequel to Nevermoor: The Trials of Morrigan Crow explores privilege, prejudice, and otherness in a unique magical world. 12-year-old Candice is still reeling from her parents' divorce when she finds a letter in the attic of her grandmother Abigail's old house. The letter describes a mysterious treasure, and begs Abigail to find it. With the help of the quiet boy across the street, Candice decides to decipher the puzzle, and it leads them into some difficult territory, including ugly truths about the town's past and secrets about their own families. But it also leads them towards forgotten heroes and a love that defied its prejudiced world. Kids will thrill to each of Candice and Brandon's discoveries, and ponder how the weight of racism and prejudice resonates into the present, as they eagerly turn the pages of this mystery. These girls made an impact on the world — and they did it before they turned 20! 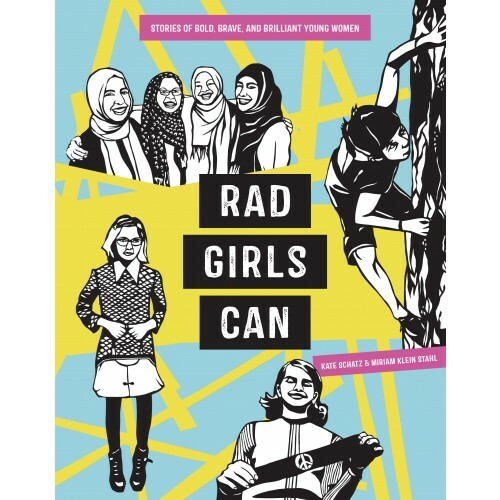 Rad Girls Can, the latest volume from the best-selling authors of Rad Women Worldwide and Rad American Women A-Z, introduces kids to girls past and present who made their mark. From famous names like Malala Yousafzai, Anne Frank, and Joan of Arc, to lesser-known figures like Syrian refugee and Olympic swimmer Yusra Mardini, anti-cyberbullying activist and app designer Trisha Prabhu, and more. As in the other books, each profile is compared with bold cut-paper artwork, and the book wraps up with a reminder that there's one more Rad Girl who can make a difference: you! Fiona adores every bit of her psychologist father, from his driveway basketball games to his favorite songs and sayings. 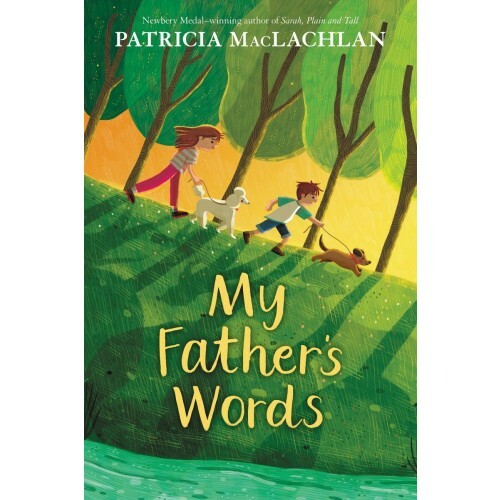 But when her father swerves to avoid hitting a child with his car, he dies instead — and suddenly Fiona, her mother, and her little brother Finn are at a loss, uncertain how to move forward in the face of such overwhelming grief. Fortunately, two unexpected friends offer help: Thomas, one of her father's patients, who calls for two minutes every day to share her father's sayings and insights, and Luke, a neighbor, who encourages Fiona and her brother to volunteer at an animal rescue shelter. With their help, and their father's wise words, Fiona and Finn will find a way forward. Quiet and emotionally powerful, this gentle story by this Newbery Award-winning author shows how hope can rekindle when given time and love. The Unbeatable Squirrel Girl is back! 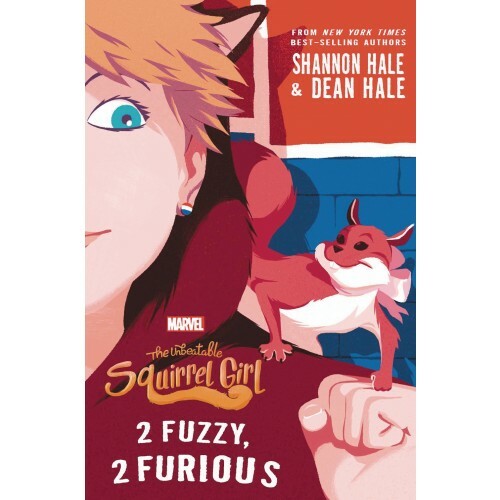 14-year-old Doreen Green is finally settling in as her alter ego Squirrel Girl, but when a new mall is slated to open on the border of Shady Oaks and neighboring town Listless Pines, people — and even the trusty Squirrel Scouts — start acting strangely. With the two towns starting to launch into an all-out war, could Hydra be behind the trouble? And can Squirrel Girl save the day and rescue her rocky friendship with her Best Human Friend Forever, Ana Sofia? This novel is full of laugh-out-loud details (like Squirrel Girl's group texts with the Avengers!) and enough adventure and daring to delight young superhero fans. Before she was a lawyer, a judge, and the first Hispanic person appointment to the U.S. Supreme Court, Sonia Sotomayor was a girl in a Bronx housing project, struggling with juvenile diabetes, poverty, and family troubles. But when she found a big dream to pursue, nothing would stand in her way! 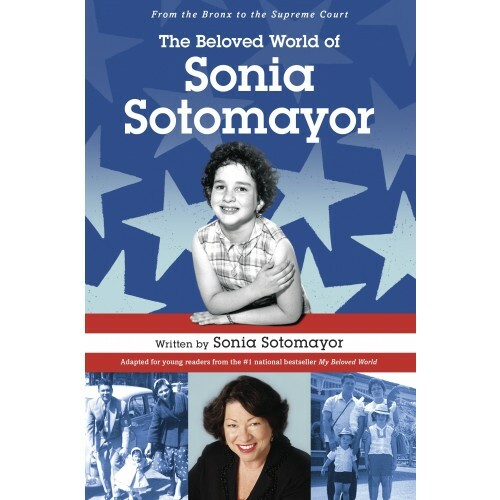 In this middle-grade adaptation of her bestselling adult memoir, My Beloved World, Sotomayor tells her story in a relatable, appealing way, encouraging young readers to "dream big dreams" — and fight for what they know is right. 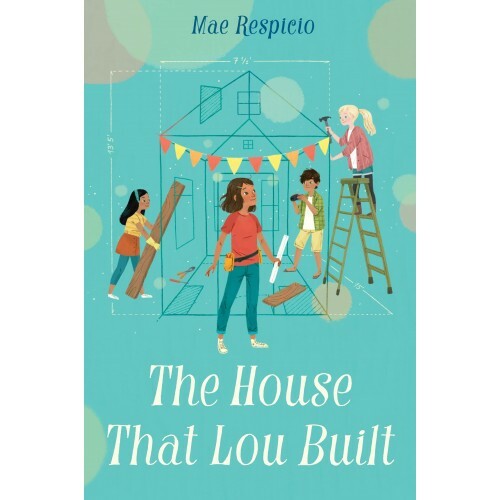 Lou feels squashed and smothered in her grandmother's house, where she shares a room with her mom, so the woodshop-loving girl comes up with a solution: this summer, she's going to build a "tiny house,", which she can put on land she inherited from her dad when he died before she was born. But building a house is tricky (even when it's tiny) and worse, the land might have to be sold to pay off back taxes and fund a move. Fortunately, both Lou's devoted friends and her loving Filipino family are there to help her achieve her dream... even if it doesn't look quite like she imagined. Full of details about Filipino life and culture, this warm story celebrates the true meaning of home and family. In 1968, after two African American sanitation workers were killed by unsafe equipment, their colleagues throughout Memphis went on strike. Their two-month protest drew so much attention that Dr. Martin Luther King came to help... only to be assassinated in his hotel after giving his famous "I've Been to the Mountaintop" sermon. 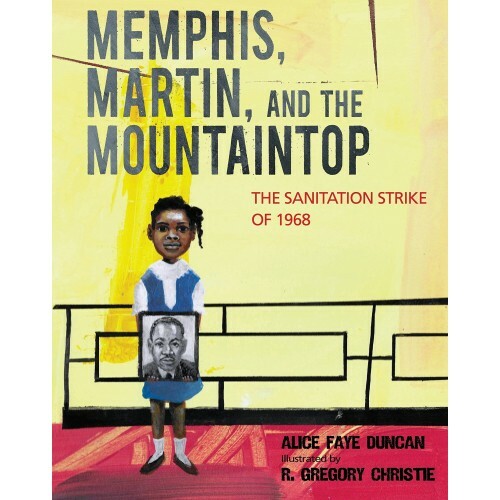 Through the eyes of a fictional girl (inspired by a real child's experience in the strike), author Alice Faye Duncan captures a key moment in both the labor and civil rights movements. 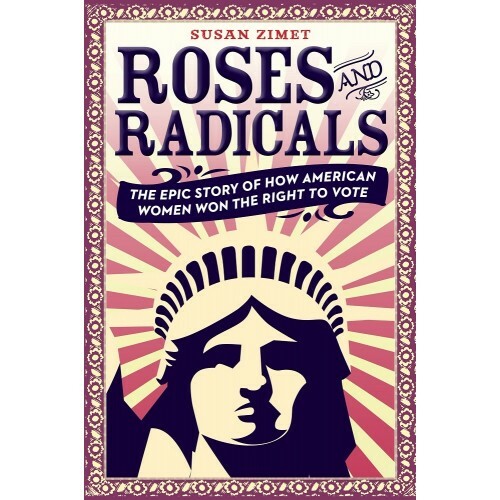 Written in emotional free verse, this picture book for older readers provides an accessible introduction to a challenging and heartbreaking moment in American history. 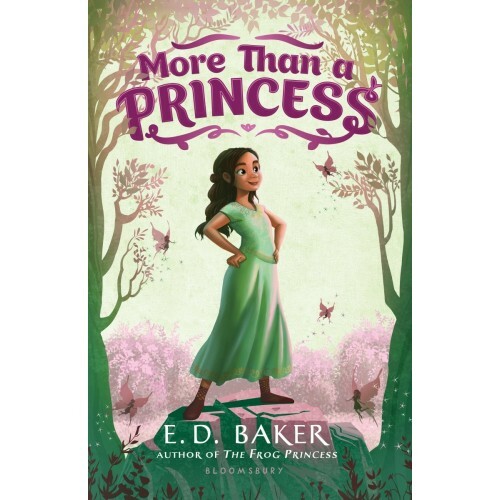 Set in the world of the beloved Newbery Honor-winning Ella Enchanted, 15-year-old Evie is busy mastering the healing arts and has no plans to settle down anytime soon. So when her friend Wormy unexpectedly proposes to her, she gently turns him down – much to the chagrin of the meddling fairy Lucinda who overhears the proposal and decides to punish Evie for rejecting an "exemplary" suitor. 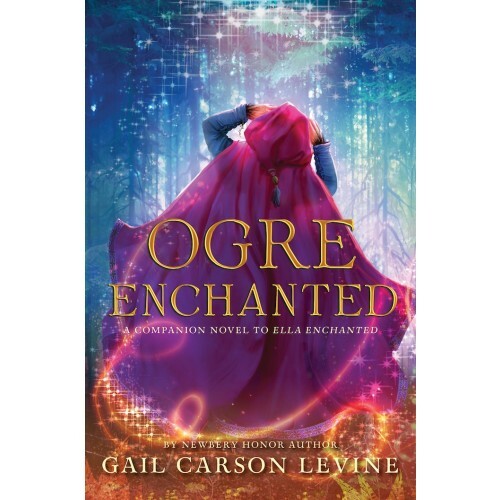 She turns Evie into an orge, who are hated and feared by the local people, and gives her 62 days to accept another proposal or remain an ogre forever. Fortunately, Evie has her own ideas about how to break the curse and determine her own future. Katy Gordon is the best pitcher in the neighborhood — everyone knows that. But that doesn't mean she can try out for Little League; as far as the rules are concerned in 1957, it's no girls allowed, period. 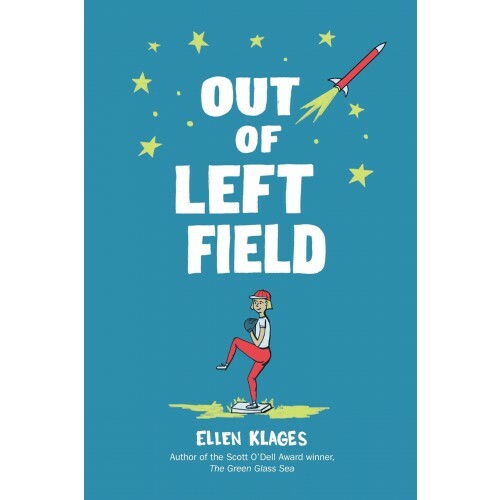 So when Katy learns a bit about civil rights in school, she decides to prove that she's not the only girl who plays baseball, and discovers that "girl’s baseball had a lot of history, but not a lot of now." 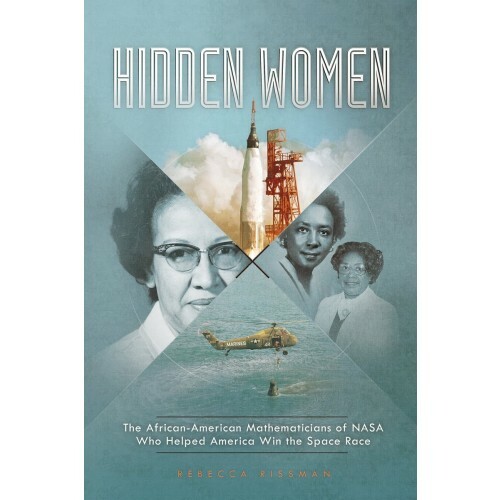 With a setting that explores the vast changes of the late 1950s — from the Civil Rights movement to Sputnik — and a determined heroine who won't let anyone tell her she can't play, this historical fiction novel is a home run. In the sixth volume in the graphic novel series, the club is facing its greatest challenge yet — Kristy's mom is getting married and fourteen kids are coming to town for the wedding. With her friends Claudia, Mary Anne, Stacey, Dawn, and Mallory, Kristy is confident she can handle that and her role as bridesmaid. It's the biggest job the BSC has ever had, but they'll work together to make sure Kristy's big day is a success! 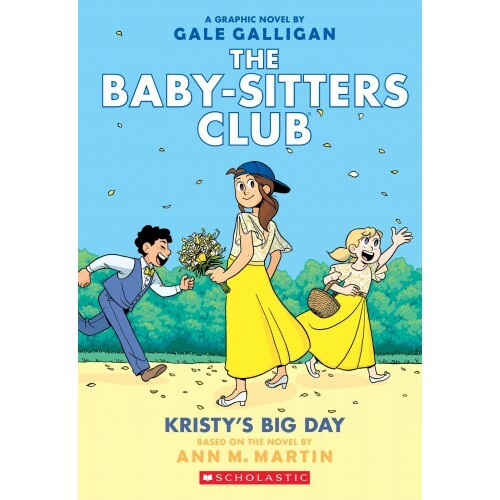 Colorful artwork by Gale Galligan and a tight adaptation of Ann M. Martin's beloved novel will make this a hit with both new and old fans of the Baby-Sitters Club. 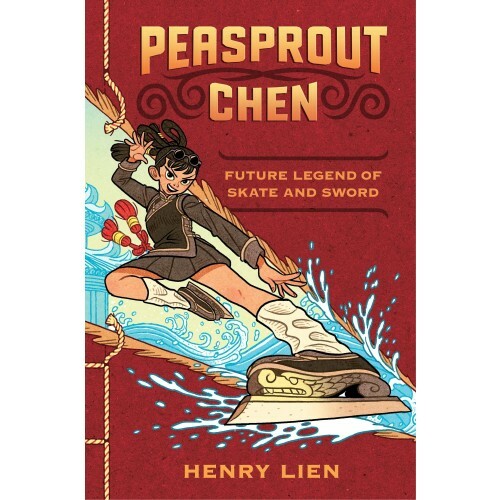 For the first time in history, students from Shin are being allowed to attend the Pearl Famous Academy of Skate and Sword, home of wu liu, the art of martial arts figure skating — and Peasprout Chen and her brother Cricket are the lucky students! But not everyone agrees that they belong at the Academy, and Peasprout's pride often gets in the way of making friends and learning the skills she needs to make it at the academy. When the beautiful pearl buildings of the Academy are vandalized, Peasprout has to prove she's not the culprit and figure out who wants Shin and Pearl at war. With plenty of action — including stunning and cinematic descriptions of wu liu battles — this exciting fantasy story puts a new twist on martial arts stories. 12-year-old Nora should be in the sixth grade, but since a fire killed her father and destroyed her home, she lives in Manila's North Cemetery, the Philippines' largest shantytown. When her mother goes missing, Nora is too embarrassed to call on family and friends for help, so she asks her best friend Jojo and his grandmother to help her look. In her search, Nora will find out just how dire her mother's gambling problem has become — but also how much hope and love surrounds her. 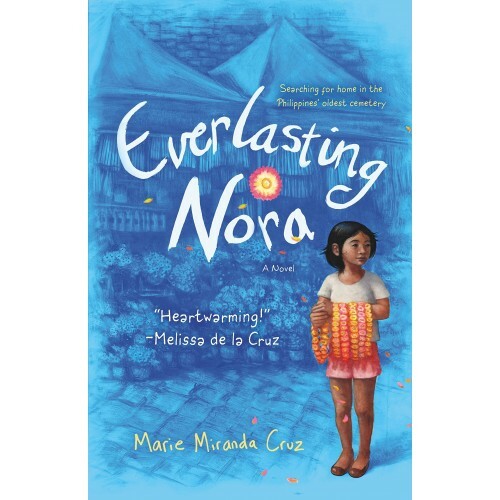 Poignant and real, this novel includes details of Filipino culture that will draw readers in to Nora's story. 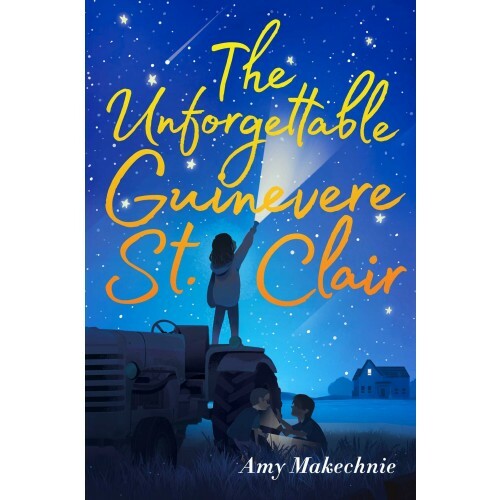 When Guinevere was four, her mother suffered a traumatic brain injury that left her with no memories after the age of 13, and Gwyn's father is obsessed with finding ways to help her — including moving the whole family to Crow, Iowa, where Vienna grew up. Gwyn isn't crazy about the move and struggles with her mixed feelings towards her mother. But the move provides a fresh start, a few new friends, and an intriguing mystery when a local man disappears. 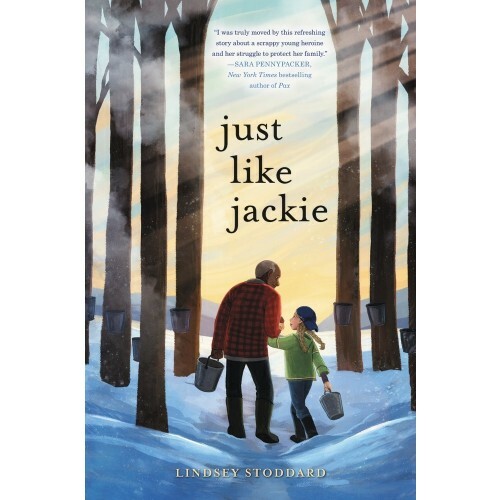 At turns heartfelt and laugh-out-loud funny, this layered story speaks about coming home and accepting family as they are. 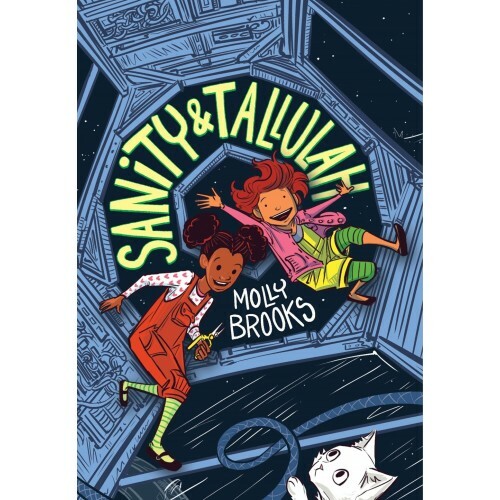 Sanity and Tallulah live on Wilnick, a dilapidated space station at the end of the galaxy, and they're the best of friends. So close, in fact, that when Sanity uses her knack for science and her energy allowance to create an illegal (but adorable) three-headed kitten that she names Princess Sparkle, Destroyer of Worlds, she has to show Tallulah. Unfortunately, PSDW turns out to be full of trouble, and it doesn't take long for the kitten to escape and start causing all sorts of trouble for the space station. Sanity and Tallulah will have to save PSDW and their home — and they might discover some surprises on the way. Kids will adore this rollicking outer space graphic novel tale of friendship and adventure. Nora has been looking forward to summer in Wolf Creek, and plans on lots of fun with her friends, Lizzie and Elidee. 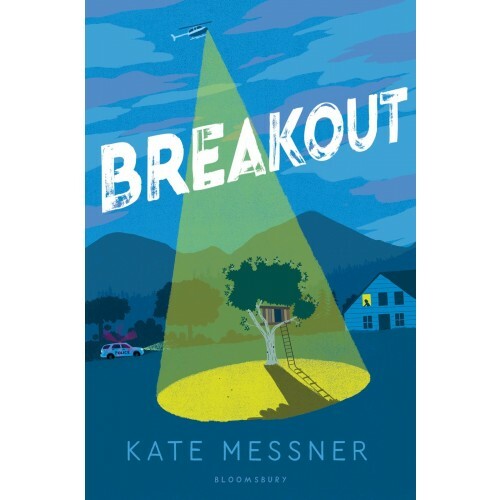 Instead, when two inmates break out of the maximum security prison — where Nora's father is a superintendent, and Elidee's brother is an inmate — the community changes fast. Nora considered Wolf Creek (and herself) to be welcoming, but as she watches the rampant suspicion in the wake of the breakout, including racism directed at Elidee, she realizes that neither she nor her town are as open-minded as she thinks. Told in a selection of documents that Nora collects for a time capsule project, this story invites readers to examine how prejudice, fear, and ignorance can take root, even close to home. 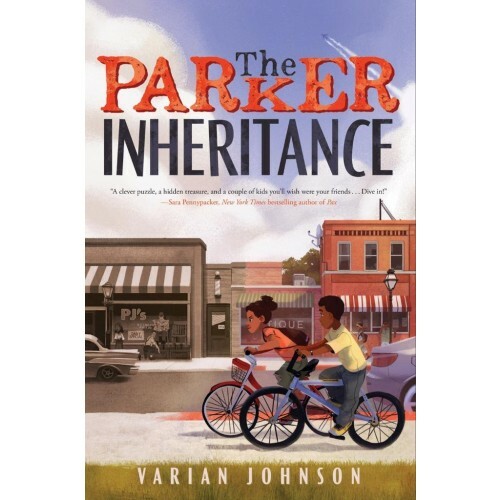 Eleven-year-old Isabella is struggling with her identity, both as the child of divorced parents and as the child of a black, wealthy father and a white, waitress mother. Then both parents get engaged at the same time, leaving Isabella feeling ripped in two. What does it mean to be half white or half black? To belong to half mom and half dad? And if you're only seen as half of this and half of that, how can you ever feel whole? It seems like nothing can bring Isabella's family together again — until the worst happens. Sharon M. Draper, the author of Out of My Mind, tackles questions about identity, divorce, and belonging in this powerful book. Orphan Anthea Cross-Thornley desperate for a home when she receives an invitation to safety from a long-lost uncle. 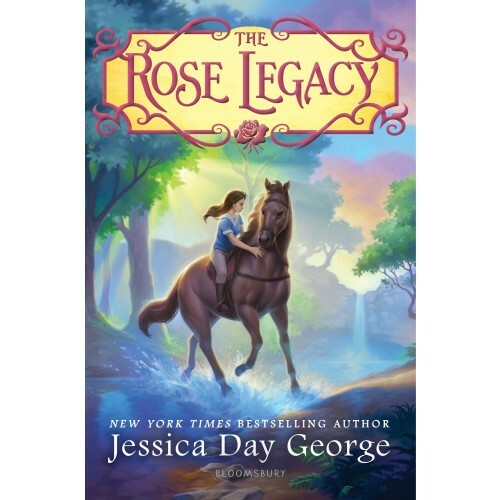 To her horror, she discovers that her uncle breeds horses, which have been forbidden from her kingdom after they spread a plague centuries ago. Worse, Anthea finds she can sense the horses' thoughts and feelings, and while her uncle considers The Way a gift, it terrifies her. As Anthea learns more about her family and her country's history, though, she starts to question all the truths she thinks she knows... and when she learns that her mother is alive and threatens everything she holds dear, Anthea will have to choose which path to follow. This thought-provoking fantasy will delight young animal lovers and anyone whose ever felt like an outsider. 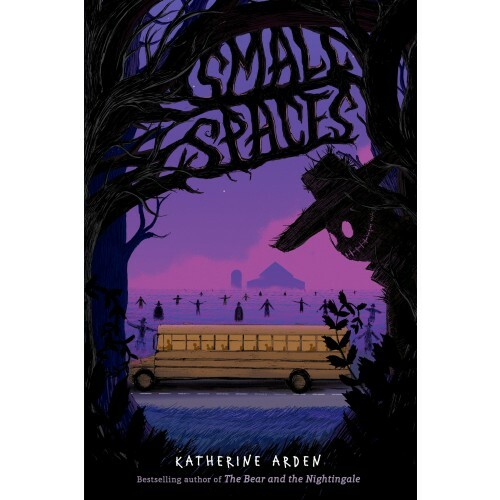 Cricket's grandmother and father are dead, and her beloved mama has run off, leaving her in the "care" of a scheming aunt — so Cricket decides the best way to get her mama to come back is to find the secret room, painted by a mysterious artist, that she always told stories about. With a few handfuls of stolen snacks, she runs off into the Mississippi woods with the only clue she has: an old coin from a nearby ghost town. As she camps out in a tree house and forages for food, Cricket tries to figure out the puzzle, meets some new friends — and starts to come to terms with some hard truths about her family. A survival adventure, an art mystery, and an emotional story of searching for home come together beautifully in this debut novel. From the first appearance of Princess Leia to the rise of Rey, in movies, TV shows, comics, and novels, women have driven the saga of the Star Wars universe forward! 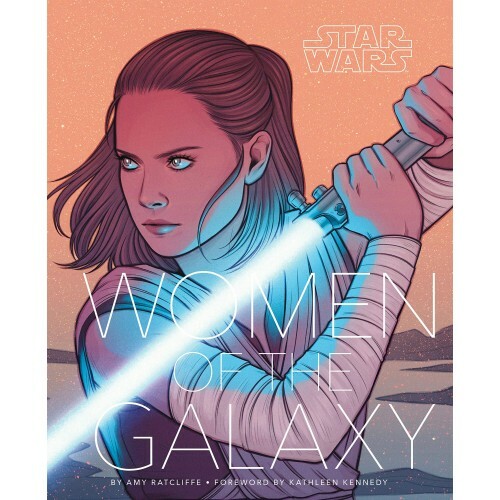 This beautifully illustrated book profiles 75 female characters from across films, fiction, and comics, complete with key story details, new insights, and a few behind-the-scenes details. 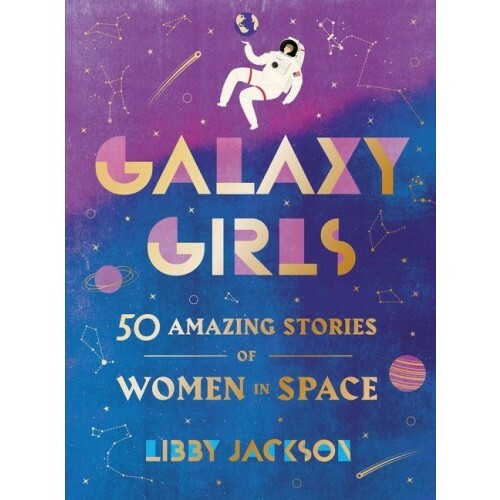 With 100 all-new illustrations by a dynamic range of female artists, this remarkable book is an inspiring celebration of the daring women found in a galaxy far, far away. 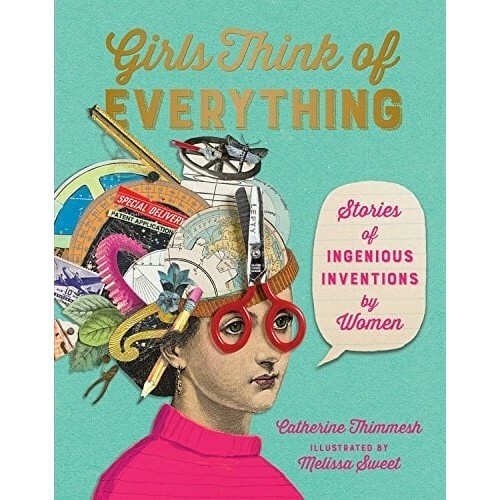 Meet 50 women who pushed the boundaries of human excellence in this inspiring book! 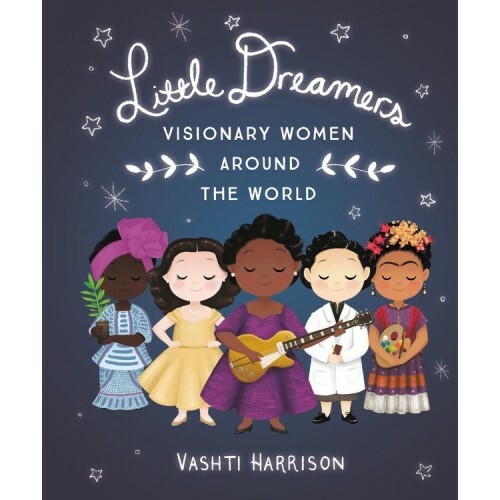 From famous girls and women like Serena Williams, Elizabeth I, and Malala Yousafzai, to little known figures like Chien-Shiung Wu, Aud the Deep-Minded, and Ana Nzinga, these stories will fascinate kids (and adults) and encourage them to learn more about the women featured here — and the many other women of history! 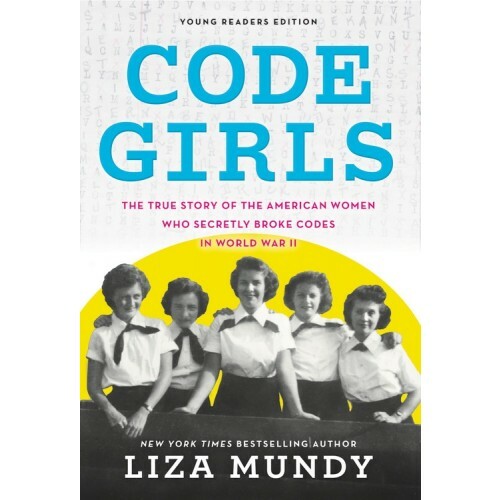 An epilogue urges girls who read the book to “take advantage of opportunities they are given and create opportunities that don’t yet exist” — just the right enticement to encourage a new generation of extraordinary girls. When 11-year-old Ollie rescues a book that a strange woman is trying to destroy, she thinks it's just a creepy story about a sinister spirit that will grant your greatest wish for a price... until she goes on a school field trip and discovers the graves of the people in the story. When the school bus breaks down, the driver gives the students an eerie warning to flee, sending Ollie and her classmates Brian and Coco running into the woods nearby. If the book really is true, the "smiling man" is coming – and Ollie will need all her courage to save herself and her friends. Only Fallow has a miraculous gift of seeing lies — but in exchange, telling them causes her terrible pain. 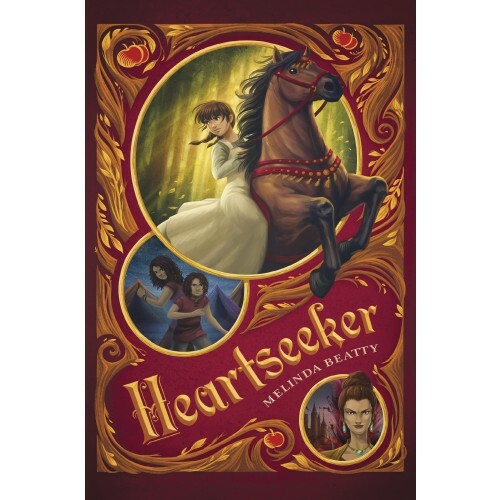 While her family tries to keep her ability a secret, it's only a matter of time before the King hears word and forcibly brings her to the Bellskeep castle, where she is ordered to help the King identify his enemies. Her travels as the King's Mayquin, or truth seeker, show her how many traitors lurk around them... but also how much of the world lies beyond her family's doorstep. This memorable coming of age story follows Only as she gradually develops a new, more nuanced vision of her world — one that includes a realistic understanding of its injustices. In Cecilia's world, souls of the dead go to the Land of Yesterday, and after a tragic accident, her little brother, Celadon, is one of them. Worse, her house's spirit, Widdendream — and Cecilia herself — believe Celadon's death is her fault. When Cecilia's mother decides to follow Celadon into Yesterday, Cecilia and her father resolve to rescue her, but Widdendream decides the quest should be Cecilia's alone. As she ventures into yesterday, Cecilia faces the most difficult journey of her life... one from which she may never return. 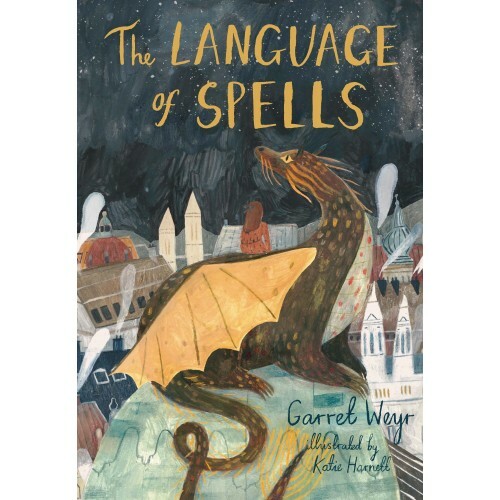 This imaginative story in a compelling world full of metaphors for loss and grief is full of magic and gentleness. Seventh-grader Zoey often wishes she could be an octopus: eight arms would make it easier to take care of her younger siblings after school while her mom works, and camouflage would stop the sneers and bullying she deals with at school. The one bright spot, she thinks, is her mother's boyfriend and the clean trailer where he lets them live. 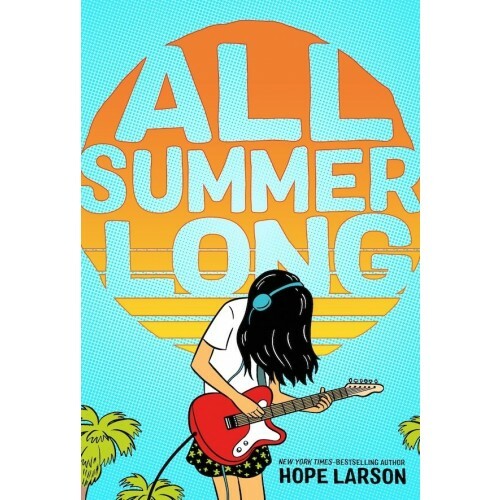 But when one of Zoey's teachers forces her to join the debate club, Zoey starts seeing her world in a new way — and realizes she does have a lot to say. 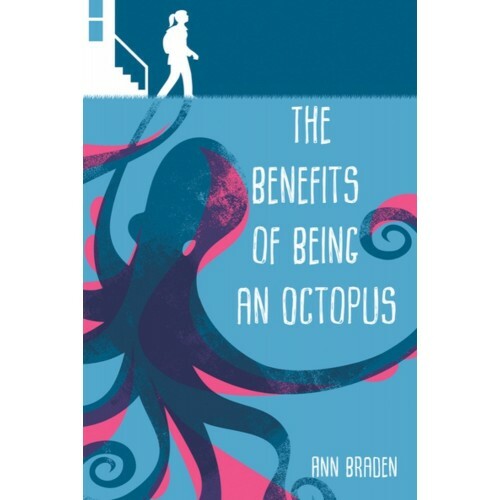 Issues of class and poverty will take on new immediacy for middle grade readers as they read about a kid just like them trying to make it through. 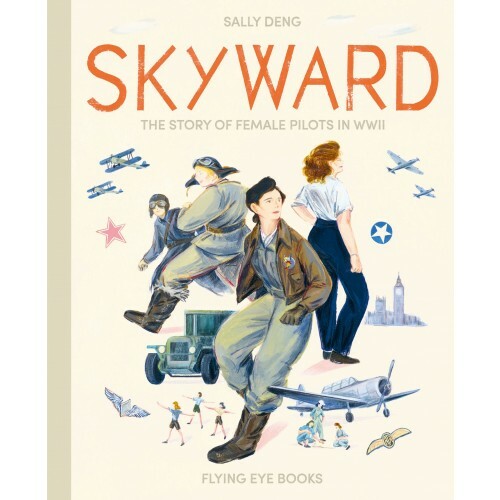 When the US Army Airforce faced a shortage of pilots in the middle of World War II, they called upon a determined group of women to help. The 1,100 women of the Women Airforce Service Pilots (WASPs) were trained like military pilots, marching in review and wearing uniforms. They took on grunt work like testing repaired planes and ferrying planes from factories to bases, and even towing targets for live ammunition training. A number died in the line of duty, but because they were "only" civilians, they received no military benefits, not even for burials. 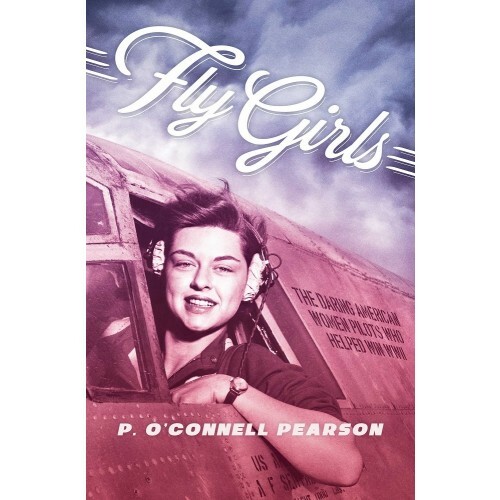 In this inspiring book, author Patricia Pearson creates a lively account of the daring women whose love of flying and desire to serve their country drove them to soar and challenge the sexist attitudes of their time. After making it through "Spy Training 101" at her boarding school / secret spy ring, Abby thinks she's ready for her first "official" Center mission. Then she finds herself trying to solve the kidnapping of the mastermind behind Monster Mayhem, the latest reality video game craze — which is part of a bigger scheme to take down the Center permanently. With her friends by her side, Abby sets off on a globe-trotting spy adventure full of twists and turns... where her unwillingness to plan and think things through gets her in one scrape after another. 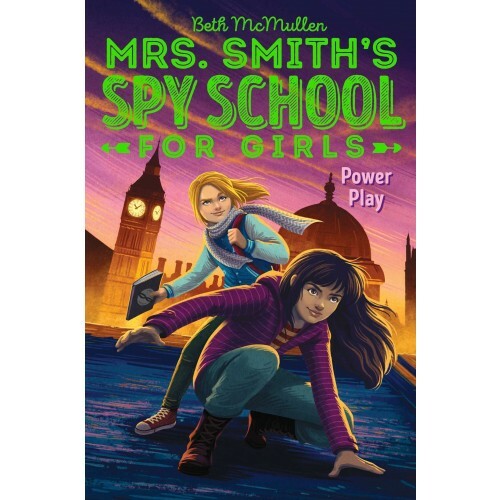 This highly anticipated follow-up to Mrs. Smith's Spy School for Girls features a fast-paced story and a wry and clever main character who learns what it takes to be part of a great team! When Louisiana Elefante is woken up in the middle of the night by her granny, who declares that the day of reckoning has come and packs them both in the car, she just plans to ride out this idea... like all of Granny's other ones. But then she ends up stranded in Richford, Georgia, away from her friends, while Granny recuperates from dental work. 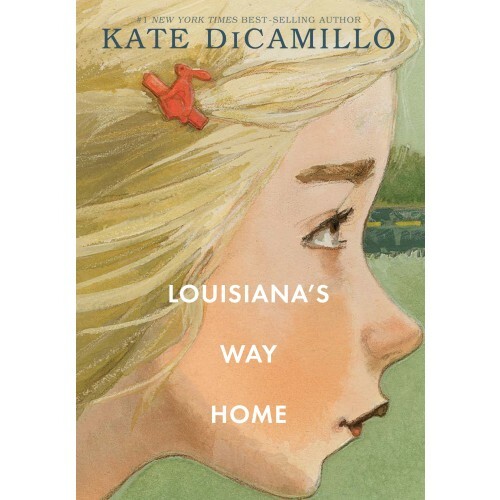 Louisiana starts making new friends, but she keeps hoping for home... and when Granny disappears, leaving a shocking letter behind, Louisiana will learn that discovering home — and who you are — isn't as simple as she thought. This touching coming of age story featuring a character from DiCamillo's Raymie Nightingale will linger with young readers long after it's done. You don't have to be an adult to change the world — history is full of teenage girls who made their marks! 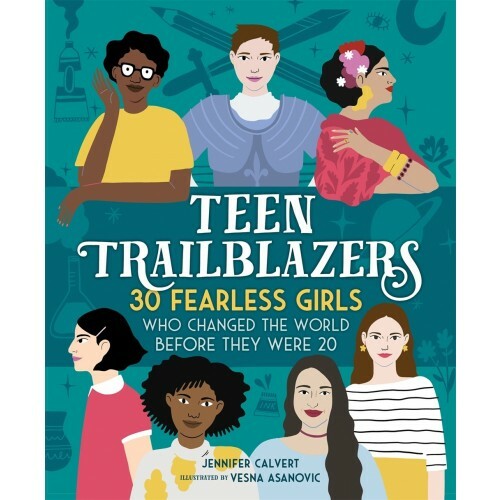 In this visually compelling book, tweens and teens will learn about 30 women who accomplished great things before their 20th birthdays. 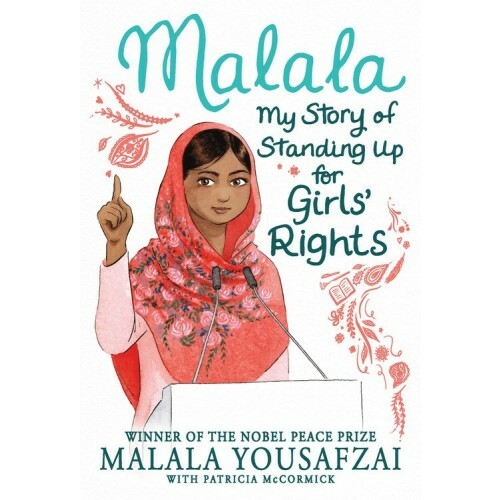 From famous names like Joan of Arc, Sacagawea, and Mary Shelley to lesser-known figures like Sybil Ludington, Claudette Colvin, and Katie Stagliano, these stories are sure to inspire a new generation of fearless girls and women to find their own path. Kiranmala's parents have always told her that she's a real Indian princess, and she's always rolled her eyes... until the morning of her twelfth birthday, when her parents disappear and a rakkhosh demon smashes into the kitchen of her New Jersey home! Then, two handsome princes show up at her door, insisting they are hear to rescue her. 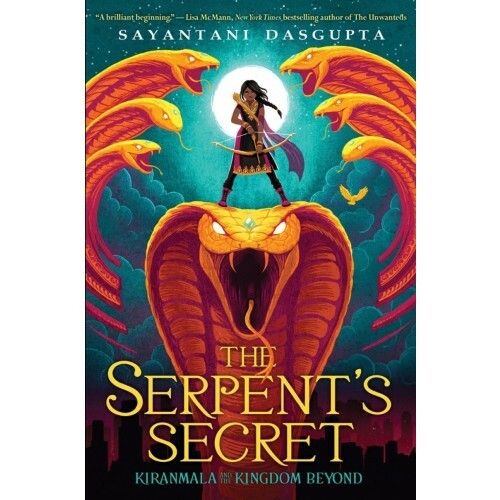 As Kiran gets whisked away to a dimension of magic, wonder, and creatures she thought were Indian fairy tales, she'll have to learn fast to avoid the Serpent King and the Rakkhoshi Queen, find her parents, and save the world. Full of action, mythology, and magic, this book is a thrilling and fast-paced introduction to Kiranmala and the Kingdom Beyond. 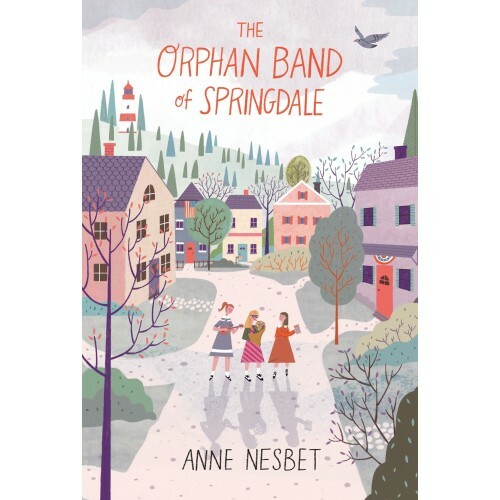 It's 1941, and the tensions of World War II have already changed 11-year-old Gusta's life: her father, a foreign-born labor organizer, has been forced to flee, leaving Gusta to live at her grandmother's orphanage in Maine. The one precious possession she has is her father's old French horn — but how can she convince her grandmother to keep it when money is short? And with prejudice disguised as patriotism besetting her from every side, will she ever feel at home in Springdale? A vibrant setting, important issues about labor rights, and family stories of a magic wish combine to create a compelling story of a girl who stands up for what she believes is right. 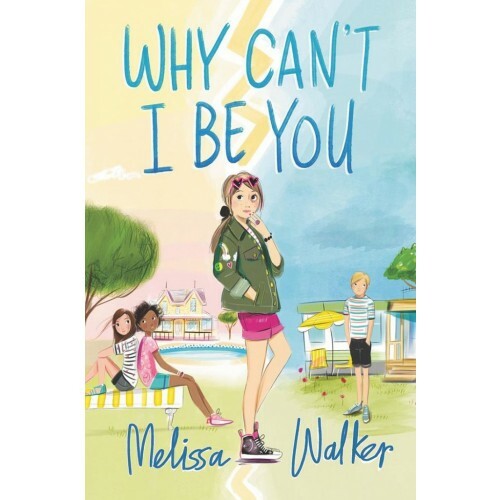 11-year-old Frankie's life is too complicated: her grandmother's hoarding is becoming more obvious, someone is spreading rumors that the family's B&B is haunted, and now she has a school assignment with a former best friend. She thinks that the solution is having a mom again, so she posts a dating profile for her Dad, but that just means one more secret to keep. And it seems like Dad and Gram have their own secrets they're keeping from her! 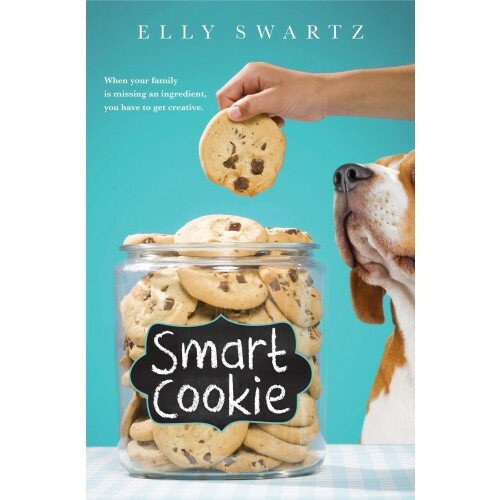 Frankie's determined to navigate all of this on her own, but sometimes, even the smartest cookie needs a little help. Kids will empathize with Frankie as she finds her way in this funny and heartfelt story. The eighth volume of Kazu Kibiushi's Amulet graphic novel series builds suspense as the series nears its end! Emily has lost control of her Amulet, and has been transformed into a fiery Phoenix and imprisoned in the Void. Her friends still believe that the real Emily is in there... somewhere. Meanwhile, her brother Navin continues to help the resistance, desperate to stop the Shadow forces that intend to drain Alledia of its resources. Emily will have to figure out how to escape the Voice's influence if she is going to free herself and save the world she loves. Vibrant artwork and imaginative worldbuilding make this a standout series; those who would like to catch up on its previous volumes can find the first eight books in this box set. Sam has grown up among elephants at a North American elephant sanctuary, so she's used to understanding how elephants think — and hearing about the sanctuary's financial woes. Then an anonymous sponsor donates a huge amount of money, in exchange for artificially inseminating Daisy Mae, one of Sam's favorite elephants. When Daisy Mae dies while giving birth, Sam raises her calf — and realizes that baby Woolly has actually been cloned from woolly mammoth DNA. But with the billionaire behind the project willing to do anything to protect his investment, can Sam protect both Woolly and the other elephants? 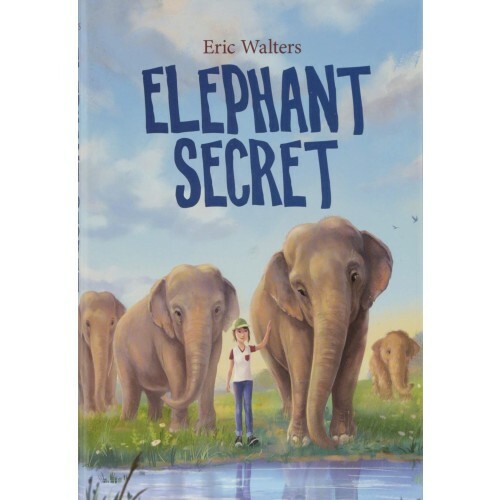 Kids will be fascinated by Sam's work with the elephants and will eagerly flip pages to find out what happens to Woolly and her other elephant friends. Kate could use a little magic: her depressed father left the family four months ago, her best friend suddenly isn't forever, and her beloved Grammy is suffering from dementia. 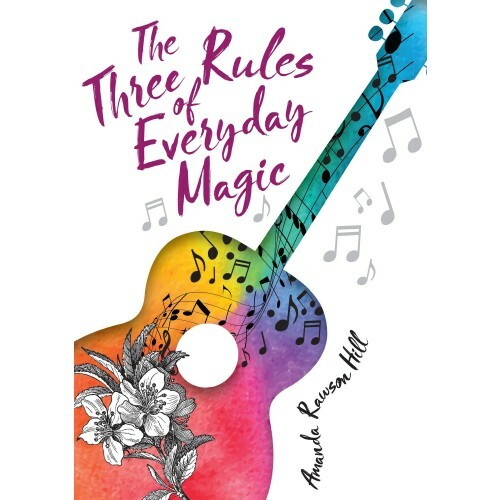 On Grammy's good days, she tells Kate the three rules of everyday magic: believe, give, and trust. And Kate very much wants to believe, so she tries to apply the rules to bring her dad, her Grammy, and her friend back to her. Even if magic doesn't work the way she expects, it might just help her keep moving forward. 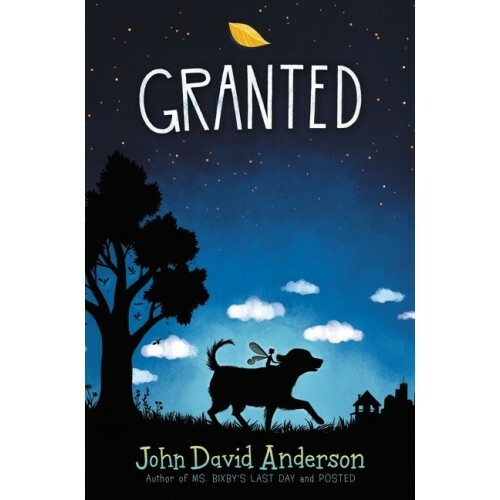 This quiet and lyrical middle-grade coming-of-age novel for fans of The Same Stuff as Stars, which is punctuated by letters to her absent dad, will tug at readers' heartstrings. In 2012, Lily waits with at a New York City nursing home with her French-born grandmother Collette as Hurricane Sandy approaches. When the National Guards show up to evacuate them, her grandmother gives her a Montblanc pen that she's hidden in her closet for years, telling her to keep it safe. After Lily loses the pen while helping other residents, she ends up searching the city trying to find it. Along the way, stumbles into the 1944 story of young Collette, a baker's daughter in occupied France who disguises herself as a boy and works for the Resistance. Part modern survival story, part historical spy thriller, this fast-paced story explores the importance of family and friends at the most difficult times. Mayka's family are all made of stone, brought to life by magical stories etched into their bodies. But even stone doesn't last forever, and now the marks are wearing away — so Mayka must find someone who can recarve the marks. 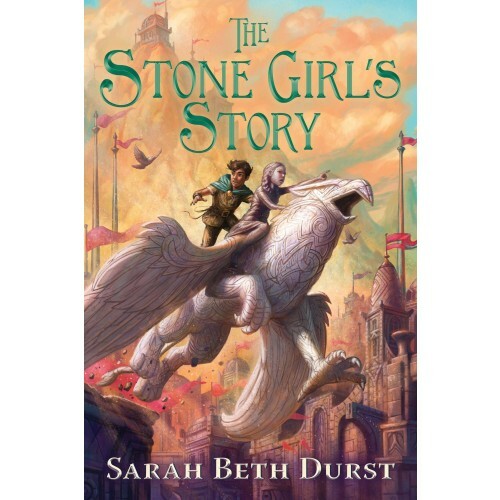 The world beyond her home is full of joys and terrors, as well as unexpected friends — and when Mayka discovers a plot that endangers all the stone creatures, the need for a stonemason and storyteller is even more urgent... and the savior she needs might be herself. This rich and vivid fantasy explores the power of stories to shape our lives, and our power to shape our own stories. 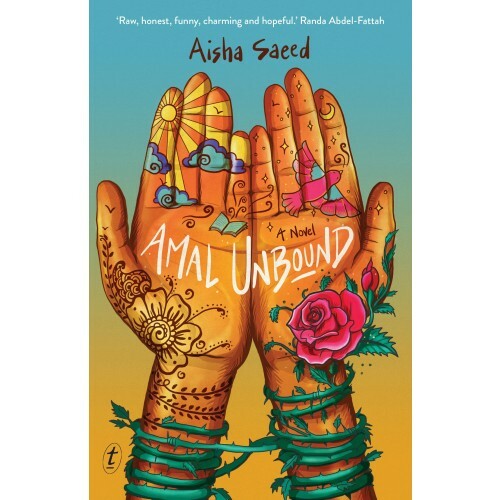 Nadia's perfect twelfth birthday is interrupted by shocking news marking the beginning of the Arab Spring — and the start of the civil war in Syria. In mere months, her home city becomes a war zone, and her family decides to flee... but before they can, Nadia is buried in the rubble after a bombing, and her family is forced to go without her. As Nadia attempts to follow them, she receives help from an elderly bookbinder and encounters others like her: people young and old who just want safety and peace. 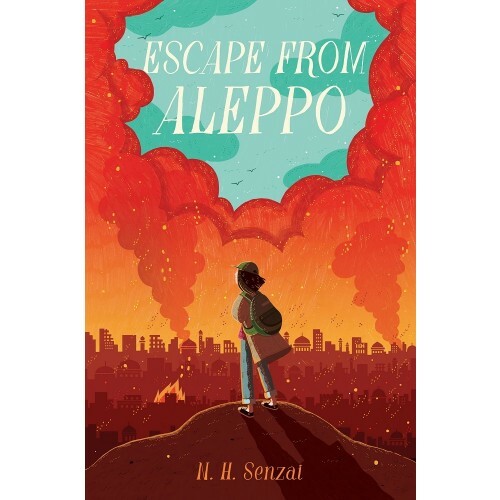 Author N. H. Senzi uses Nadia's memories to highlight both the normal lives that most Syrians lived before the war, but also hints at the dangers when your country is ruled by a dictator, creating a compelling look at the trauma facing Syrian refugees. The Penderwicks return for one final adventure in this series closer! 11-year-old Lydia is excited to hear that she'll be going to Arundel estate this summer — for a very special wedding. 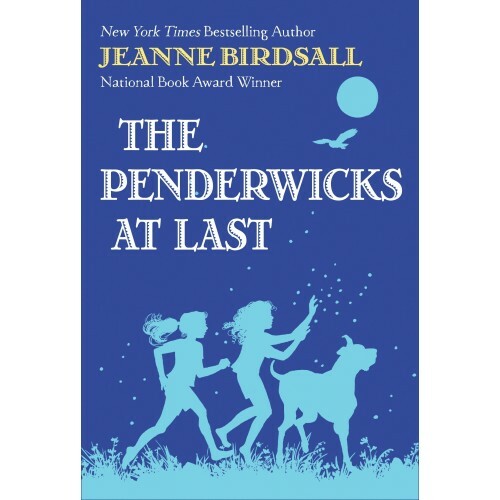 But with the Penderwicks involved, there's sure to be a few mix-ups, a handful of MOPS (Meeting of Penderwick Siblings), a couple of adventures, and a batch of new friendships... plus some fond memories and perhaps even a budding romance. Fans of the Penderwicks will delight in this series finale that sends its characters "prancing, leaping, gamboling into the future." To catch up on the series, check out the Penderwicks box set which includes the first four books. Ever since her parents were taken by the faeries of Elfenwald, Silke has been a refugee, dependent on her wits and her quick tongue. Both have been good enough to win her work as a master promoter for Drachenburg's chocolate makers, which is where she met her best friend, dragon-turned-girl Aventurine. Now, though, she has the chance of a lifetime: the Crown Princess herself wants Silke to spy on a delegation from Elfenwald — and in return, Silke will finally have a home. But when Silke realizes that Drachenburg is in danger, she may realize that she already has a home — and friends that she'll defend no matter what. 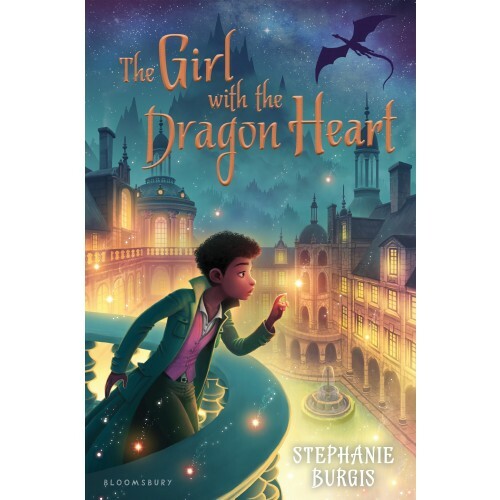 This companion to the best-selling The Dragon with a Chocolate Heart is full of magic, adventure, and chocolate! Women have been fighting for equality for centuries — and the fight goes on today. 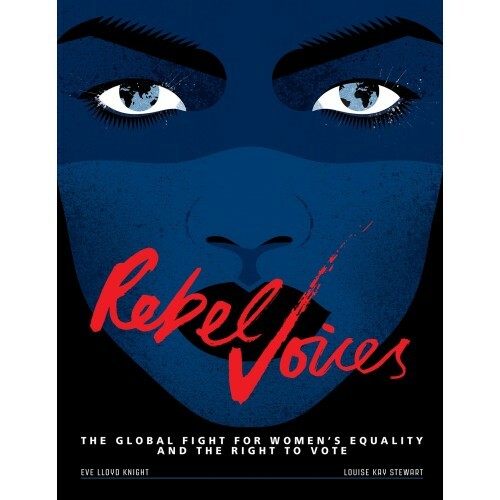 In this stunningly illustrated tribute to the rule breaking rebel women who fought for the right to vote, young readers will learn about the history of the women's movement around the world. From the moment New Zealand became the first nation that officially and explicitly granted women's suffrage, to the worldwide Women's Marches of January 2017, these women raised their voices and insisted on being heard. 12-year-old Trudy is not having a good 1966: her best friend has decided to become (of all things) a cheerleader, her Beatles fan club only consists of the least popular kids at school, and her father still barely pays attention to her. 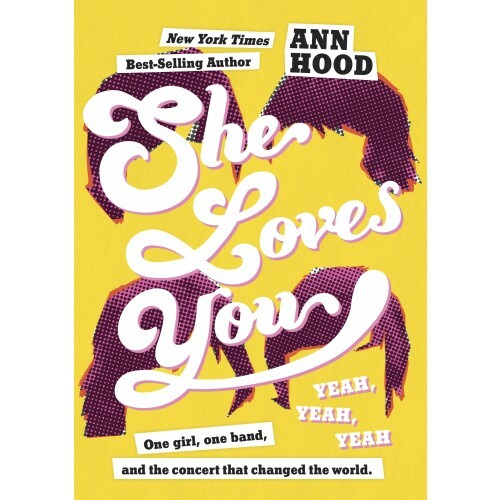 So Trudy sets on a plan that she's sure will win both popularity and her father's love: seeing the Beatles perform in Boston during their last world tour, and finally meeting Paul McCartney. She and her fellow fans set off (without parental permission) on an adventure they all hope will change their lives... 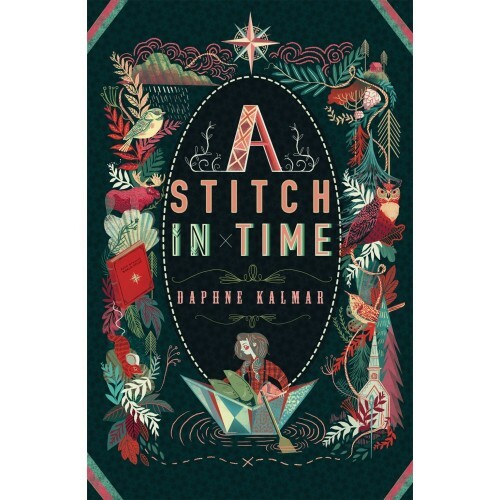 Historical details will fascinate young readers, but the meat of this story is an exploration of coming of age and being yourself, no matter what time you live in. 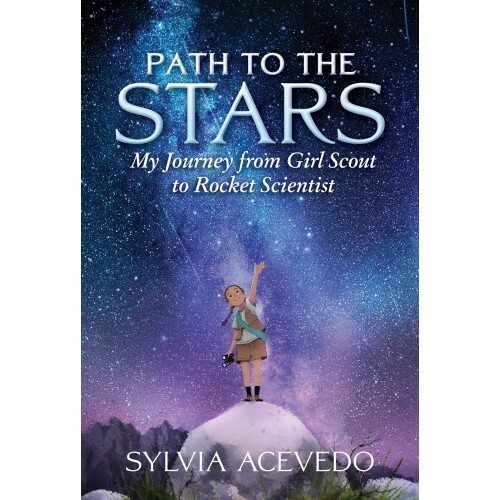 As a child in a Mexican-American community, everyone expected that Sylvia Acevedo would grow up to marry and stay at home with her children — but Sylvia yearned for adventure. Then she joined the Brownies and her life was transformed. Through the Girl Scouts, she found peers who shared her love of science and role models that fostered her confidence and independence. Acevedo would become a rocket scientist for NASA — and today, she's the CEO of the Girl Scouts, helping other girls follow their dreams. 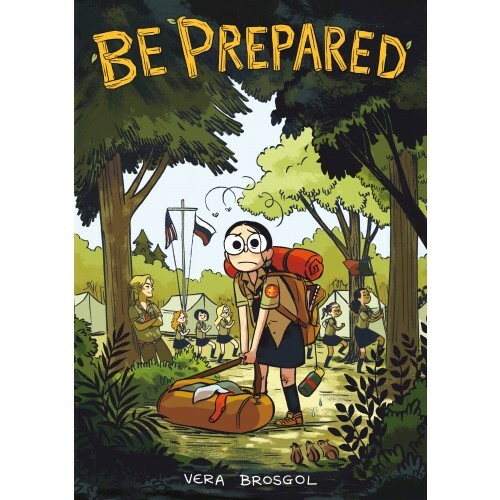 This inspiring memoir is a celebration of resilience and a testament to the transformative impact of the Girl Scouts on many girls' lives. Women can save the world! 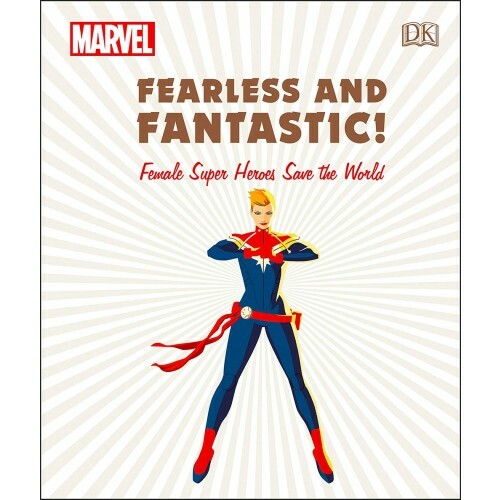 This stunning volume introduces girls and women of all ages to some of Marvel Comics' most aspirational female characters. Fifty superheroes are divided into chapters based on their driving personality trait: Determined, Daring, Compassionate, and Curious. Each character is illustrated with stunning comic-book artwork and features a carefully curated biography that covers her most important accomplishments. From fan favorites like Gamora and Black Widow to modern, diverse heroes like America Chavez and Kamala Khan, this book will delight comic fans both new and old. 12-year-old Shayne is full of fond memories of summers with her grandparents in Maine. 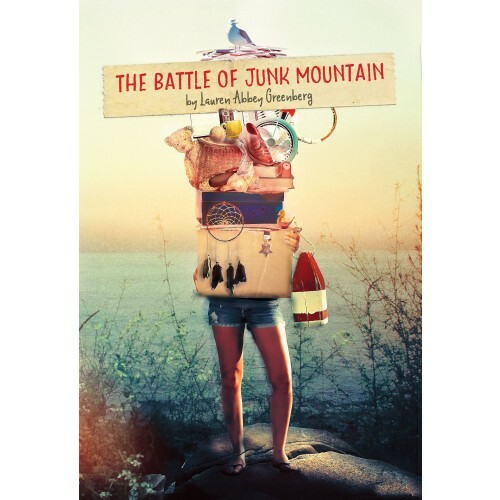 But this summer, her grandfather is gone; her BFF Poppy is more interested in boys than Shayne; and grandmother Bea, who's always been a collector, is now more of a hoarder, with the pile Shayne jokingly called "Junk Mountain" getting out of control. 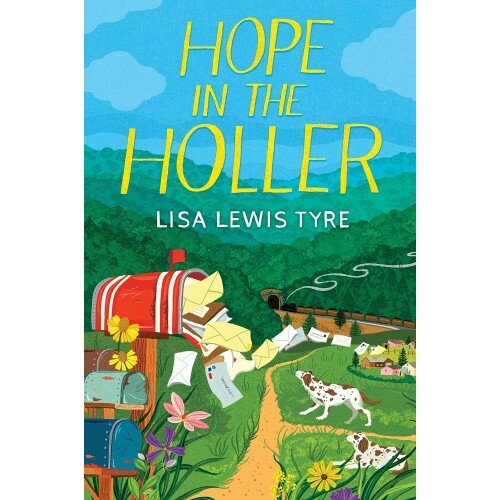 With the help of Linc, the eccentric Civil War-obsessed boy next door, Shayne will have to fight for the things that are most important to her — including her grandmother's happiness. It turns out that both growing up and growing old mean some of the same challenges, including being wiling to let go of the past. This sensitive story featuring a strong grandmother-granddaughter relationship is touching and relatable. Maggie and Abby are best friends... except after six weeks away at camp, all Abby wants to talk about is camp things. She even calls Maggie's awesome pillow fort a "cabin" — but at least she builds one too. 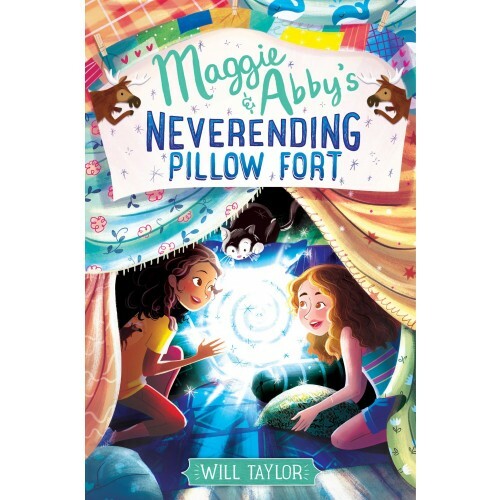 Then, Maggie discovers that a spot in the back of her pillow fort leads straight to Abby's, and the girls learn that there is a massive network of linked pillow forts... and the kids who run it aren't happy that Maggie and Abby got in without authorization. They have only three days to prove they deserve access, or they'll lose their link forever! 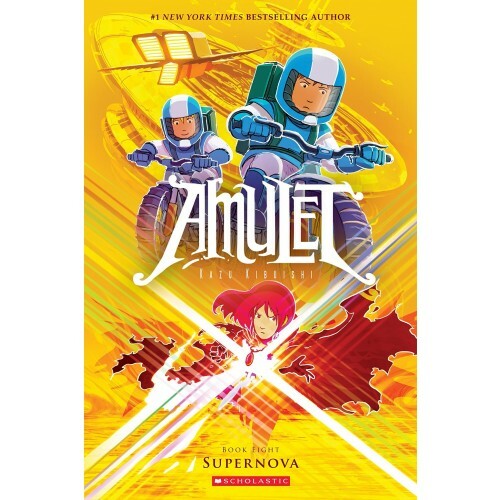 A fantastical adventure with deep themes of friendship and a cliffhanger ending will leave kids eager for the next volume. 13-year-old Nikola is a proud genius and "weirdo," and she's never really fit in at her small South Dakota school. But when her father is kidnapped by extraterrestrials, Nikola is taken to "the School," a giant institution that educates the smartest beings in the galaxy. Classes like Practical Quantum Mechanics aren't a problem for Nikola, but when the school's defenses are breached, Nikola fears it's the nefarious Old Ones who want to destroy the earth, and sets out to investigate. Along the way, though, she discovers unexpected abilities of her own — including the ability to make friends. Warm-hearted and funny, this sci-fi debut will have readers eager for more of Nikola's adventures. When women refuse to give up on their dreams, they become limitless! 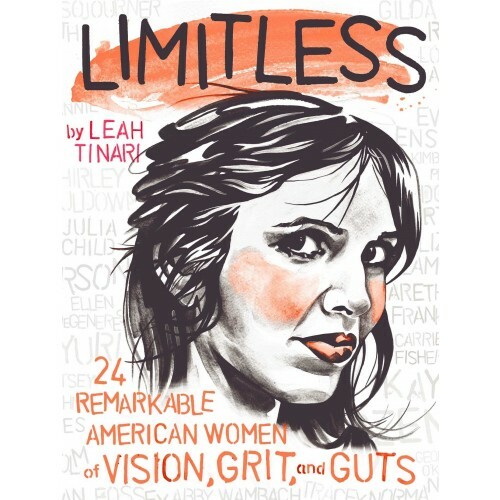 In this gorgeous volume, acclaimed artist Leah Tinari pays tribute to twenty-four extraordinary American women who changed our country's history and inspired her own artistic journey. From artists to athletes, teachers to politicians, activists to inventors, these women demonstrated courage, perseverance, and passion. Her powerful portraits, which include a few important facts about each women and span the 18th, 19th, and 20th centuries, are sure to spark an interest in learning more about these limitless women. 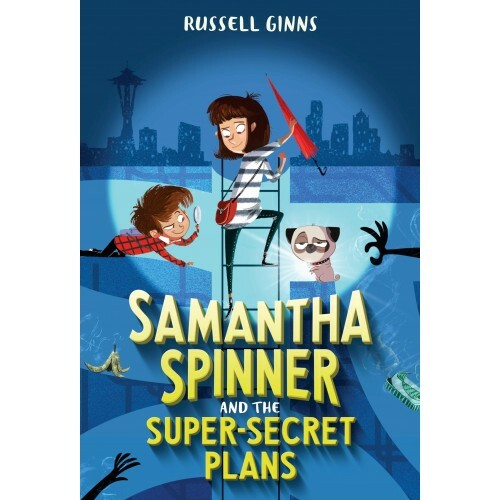 Samantha Spinner and her uncle Paul shared a love of strawberry waffles and puzzles — so when he goes missing, and her siblings get fantastic gifts while Samantha just gets a rusty red umbrella with a tag reading "Watch out for the RAIN," she knows it's more than it seems. As she and her brother Nipper investigate exactly what that umbrella means, they have no idea that they're getting mixed up in some important, dangerous, and definitely EXCITING plans! 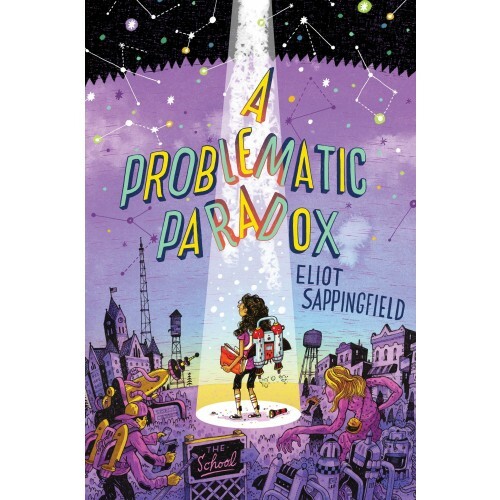 This series opener is a round-the-world adventure full of laughs and secret messages that middle grade readers will love. 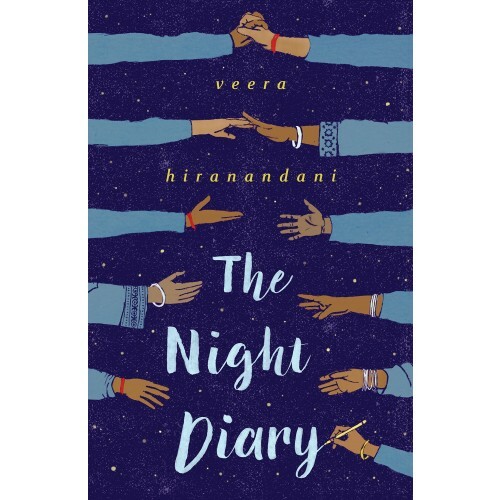 Aru Shah tells fibs to fit in with her jet-setting classmates, but it backfires when several of them show up at the Museum of Ancient Indian Art and Culture and demand she prove her claim that the museum's Lamp of Bharata is cursed. Lighting the lamp releases the Sleeper, an ancient demon who wants to wake the God of Destruction. 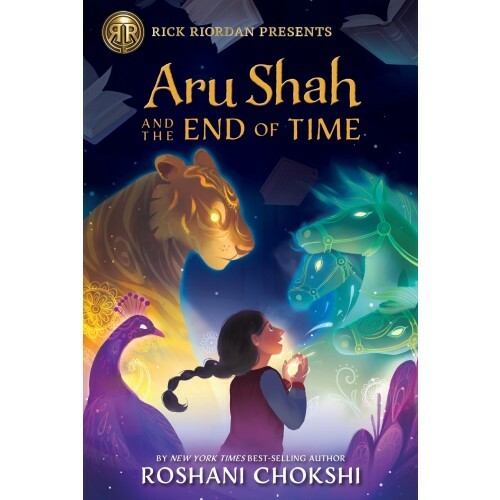 With her classmates and mother frozen in time, Aru will seek legendary heroes from the Mahabharata — and discover unexpected gifts of her own — but will it be enough to save the day? This exciting adventure rooted in Indian mythology is perfect for fans of Rick Riordan. 11-year-old Donut's mother died in childbirth, and now her father has died too, leaving her in the care of Aunt Agnes. Agnes thinks Donut needs to come live with her in Boston, but Donut dreads leaving her Vermont village — where all her memories of Pops are. So the geography buff and amateur taxidermist hatches a plan: she'll run away to an abandoned cabin nearby. But nothing is working out as she planned, so how can Donut convince Aunt Agnes that she needs to be here, where she belongs? Vibrant language and an appealing 1927 Vermont setting draw readers in, but they'll fall in love with Donut and her resilience, too. 9-year-old Astrid has free range to roam (and ski, and sing!) around her village of Glimmerdal, but she doesn't have kids her age who can be her friends. Instead, she has her 74-year-old godfather, Gunnvald, who makes her hot chocolate with real chocolate bars while she tells him stories of her escapades annoying the quiet-loving Mr. Hagen. 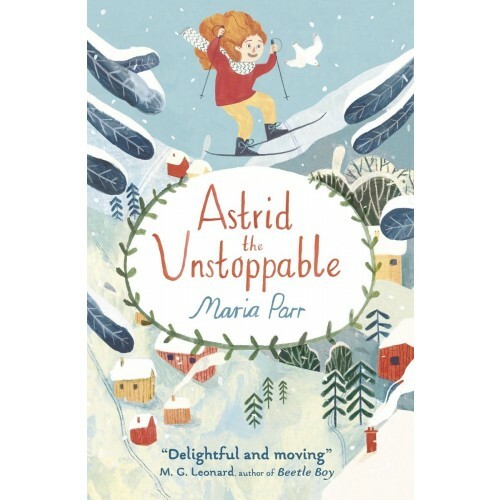 But when a woman everyone else seems to know arrives in town — who turns out to be Gunnvald's estranged daughter — Astrid faces some new challenges... that might just make everything right. 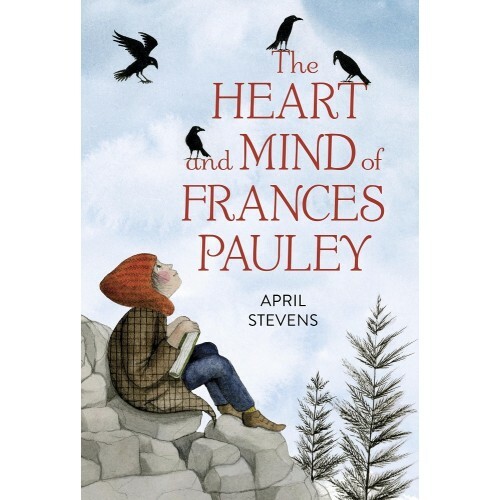 Fans of Pippi Longstocking and Anne Shirley will love this adventurous, warm, and funny story. Jamila and Tai have been best friends as long as they can remember, hanging out together in their low-income housing project. But while Tai loves the energy of their neighborhood, Mila just wants out, and after she spends a summer with her aunt in the suburbs, she's more interested in dance auditions than spending time with her friend. Both girls are keeping secrets from one another, but they'll soon realizing that letting a friend in can be the first step in speaking up. 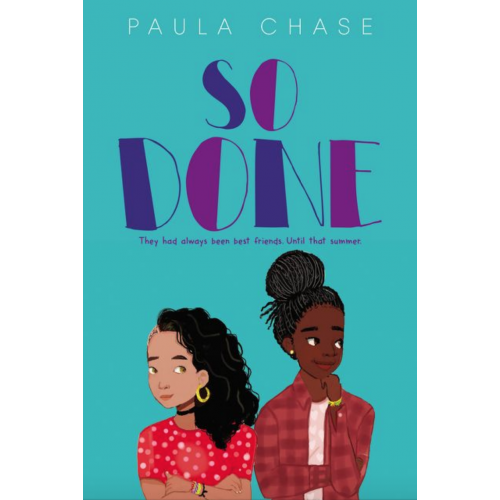 A complicated friendship and real-life issues — including drug addiction, safety, and searching for your place in the world — make this a stand-out title for middle grad readers. In Mup's world, the raggedy witches are the enforcers for a tyrannical queen who has outlawed most magic — Mup's grandmother. And when her Aunty dies, the raggedy witches come for Mup's family and spirit away her father. Mup and her mother decide to leave the ordinary world and journey through the Witches Borough to rescue him... but it won't be easy. Everything is off-balance, and even Mam and Mup herself start to seem off-kilter. Even if Mup can retrieve her father, will she ever be the same? 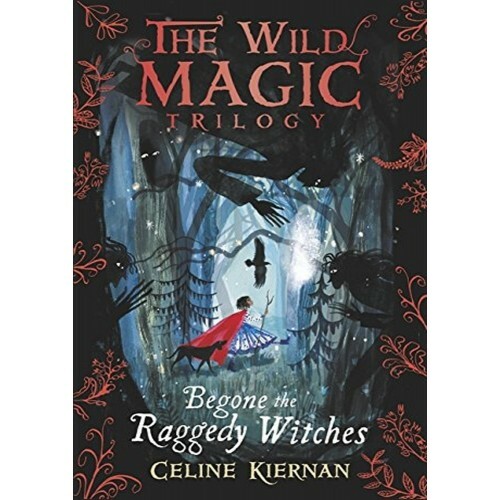 The first book of a trilogy about family and forbidden magic, this book takes fantasy tropes and gives them a new twist. Ophelia Delphinium Fidgets is a Granter, one of the fairies whose job it is to grant the wishes of unsuspecting humans who wish upon a star, or a penny thrown into a fountain, or any of dozens of other ways to wish. But with magic at an all-time low, only a tiny percentage of wishes get granted — and that's risking the revelation of the Haven, the fairies' magical land. On the day that Ophelia gets her first wish-granting assignment, she's determined to change that... but she soon discovers that it's a lot harder to give someone what they want than she thought! Kids will fall in love with Ophelia and her hilarious and heartfelt quest to grant wishes everywhere. Claire and her two best friends, Ronan and Brianna, are turning twelve this summer, so she knows it will be extra special. But when Brianna's cousin Eden visits, Claire feels overshadowed by the sophisticated girl — and anyway, things have been awkward ever since Brianna moved to a big, expensive house. Meanwhile, Ronan may still live in the trailer next door to Claire, but he's suddenly angry whenever someone mentions his dad. It's enough to make Claire wonder if life would be better if she were just someone different... 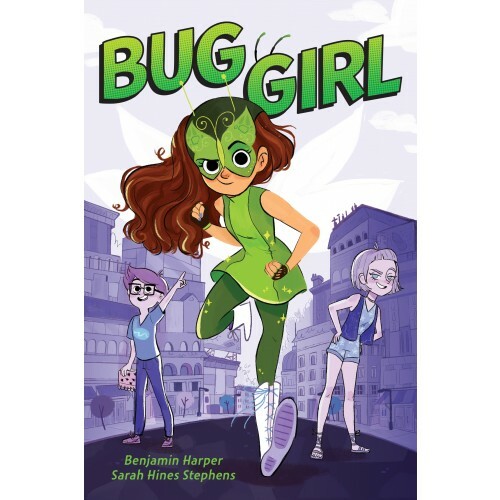 This look at socioeconomic tensions through the eyes of a young girl reminds readers that friendship can overcome all obstacles. 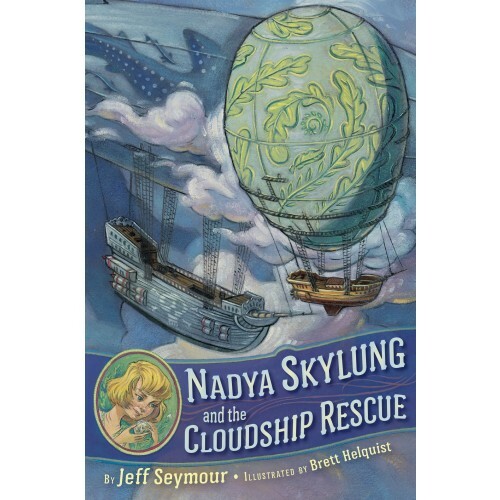 Aboard the cloudship Orion, kindhearted Captain Nic takes in orphans — including Nadya Skylung, who monitors the cloud garden that allows the ship to fly. When pirates attack the Orion, Nadya and the other orphans escape, but the crew and ship are captured. Nadya is determined to take back the Orion and save her adopted family, but as she plans the rescue with four of her friends, she begins to wonder what the pirates are looking for... 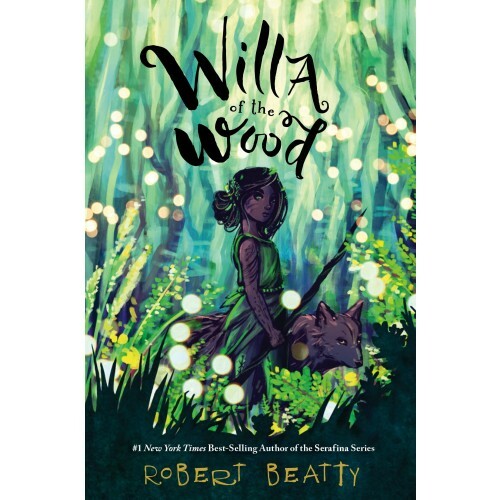 Heroic and complex characters and an exquisitely detailed world will draw middle-grade readers in to this fantastical adventure story. 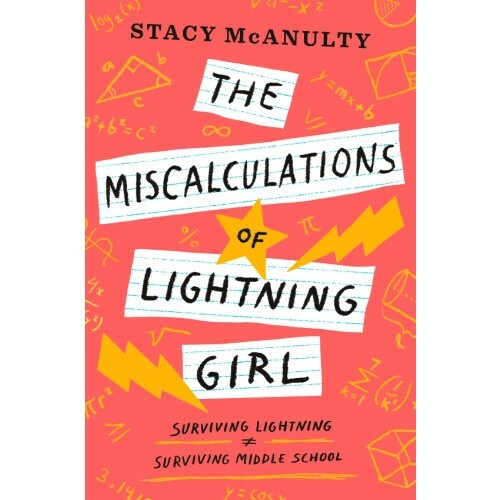 12-year-old middle child Ivy is used to being ignored, but when a tornado destroys her family's house, things get worse. Now, all five people in her family are crammed into a tiny hotel room... and Ivy can't find her journal, where she keeps drawings of girls holding hands. 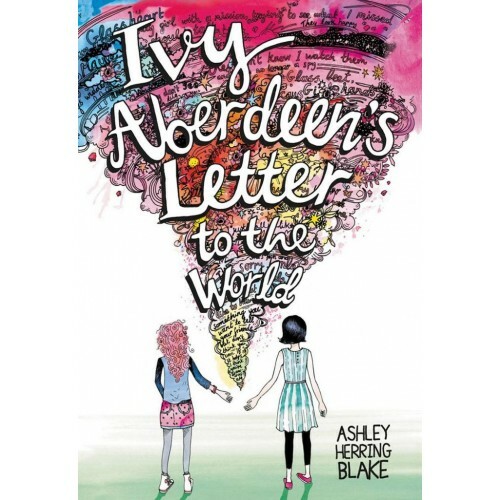 After the way her older sister reacted when her friend came out, Ivy's even more worried about her growing feelings for a female classmate, and when her drawings start showing up in her locker with notes encouraging her to speak up about her identity, Ivy will have to decide if she feels ready to show the world the real her. 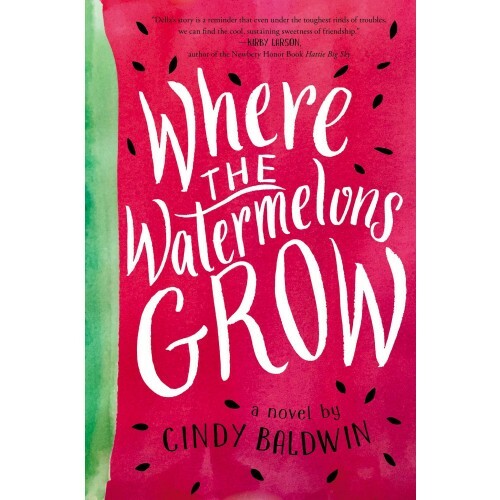 Sensitive and powerful, this book will speak to all young readers who are struggling to figure out where they belong. Young Zora Neale Hurston and her friend Carrie Brown have discovered another secret: Mr. Polk, famous around town for being mute, can actually speak. So why does he stay silent? The answer is tied to a fifty-year-old story about an enslaved girl named Lucia... and Zora is determined to learn the truth. 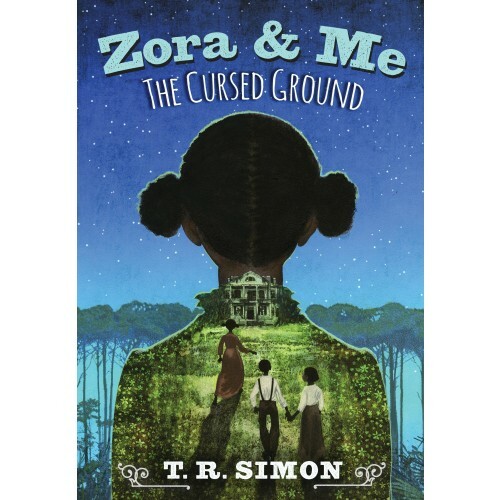 As Zora digs deeper (dragging Carrie along with her) they learn more about Lucia's search for freedom — and how it has rippled through decades to threaten their hometown, America's first incorporated black township. This sequel to Zora and Me explores the search for justice and the power of the truth. Aislin's dual fairy and pedrasi heritage gives her a number of magical gifts that she finds pressed into service when a human king breaches the border into her parents' realm! Mistaken for a human and captured by King Tyburr of Morrain, Aislin decides to use the opportunity to spy on his plans in hopes of protecting the safety of her fellow magical creatures. But pretending to be a human isn't easy, especially when the human princess and her ladies-in-waiting drip with disdain for her differences. Aislin will need the help of some loyal friends and every bit of her courage, cleverness, and power to save the kingdom she loves. 11-year-old Frances — who calls herself Figgrotten — has spent years finding effective ways to isolate herself: dressing oddly, refusing to interact with kids at school, and spending her spare time on the rocks behind her house. As long as she has her older sister, Christinia, and Alvin, her kind and intuitive bus driver, she figures she has enough. But when her relationship with Christinia starts to crumble, and Alvin dies unexpectedly, Figgrotten feels like her life is falling apart. It's only once she realizes that she can stay true to herself and still let others into her world that she feels like she'll be able to move on. This heartfelt story full of nuanced characters is a powerful look at grief, forgiveness, and recovery. 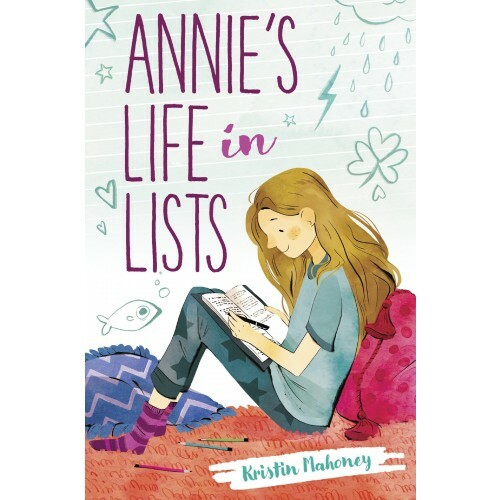 Annie uses lists to help her feel more in control — and the shy fifth grader is dealing with a lot right now, including 1. An almost photographic memory that sometimes gets her in trouble; 2. Wanting to overcome her shyness; 3. A move to the small town of Clover Gap, and a brother who's convinced its her fault they moved; 4. A best friend forever (hopefully? ); 5. A whole new class full of people she doesn't know; and 6. A difficult start finding her place in her new home. This novel, written entirely in lists, introduces a sympathetic and appealing Mighty Girl who slowly settles in and finds her voice. 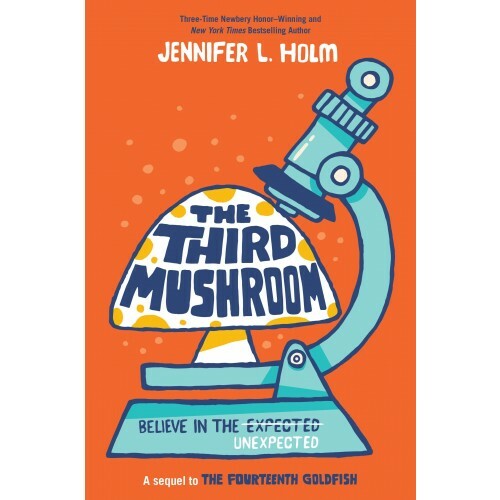 After the events of The Fourteenth Goldfish, Ellie has gotten used to the idea that her world-renowned scientist grandpa Melvin is now a fourteen-year-old boy. In fact, she's delighted to have him around! The two of them make a terrific pair — especially when they decide to team up for the county science fair. In fact, they may have the formula for eternal youth... and when Ellie's beloved cat gets sick, nothing has seemed so important. 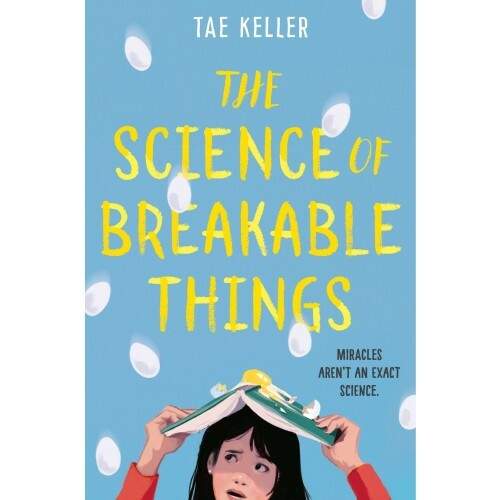 Between the science fair, a possible romance, and a rekindling friendship, this fun story captures how life, like science, requires trial and error — and how risk is necessary for reward. 11-year-old Robbie Hart tries to be like her famously peaceful namesake, Jackie Robinson, but she can't help fighting bullies like Alex Carter who make fun of her for not having a mom. What's worse, her beloved Grandpa — who raised her and taught her everything worth knowing — is losing his memory, sometimes even forgetting her name. When Robbie is put in group guidance — with Alex — she's determined to keep her secret, lest she lose the only family she's ever known. But sometimes, family appears in unexpected places... Honest and emotional, this novel captures the true meaning of family. Rook is just one of a skyboat full of Voran children with magical abilities that fled their world right before an explosion severed the portal they came through, erased their memories, and destabilized the magic on their new world of Talhaven. Now, Talhaven's residents distrust these refugee children, but also want to use them for their still-functioning magical gifts. 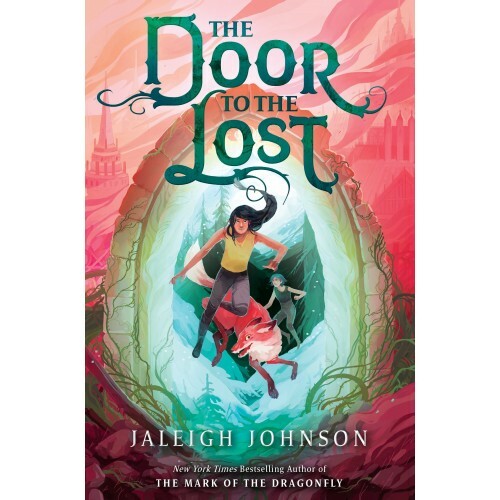 Rook hopes her ability to create magical doors can take her and her friends Drift and Fox back to Vora, but the trio may be the only people who can save their adopted world from its increasingly dangerous magic. 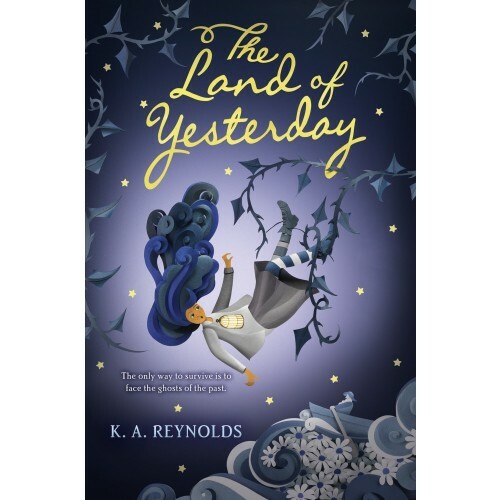 This fast-paced fantasy novel will captivate middle grade readers with its vivid worldbuilding and timely themes about xenophobia, refugees, and hope. Bryony Gray's work is deeply in demand in London's art community... but her life is grim. Her cruel uncle keeps her locked up, painting canvas after canvas for his clients. Then her paintings start taking on a life of their own — and her customers start going missing. When Bryony starts digging into her family history, she discovers she's accidentally unleashed a deadly family curse. If she's going to break the curse, she'll have to avoid angry mobs, her evil uncle, and perhaps most difficult of all: her own artwork. 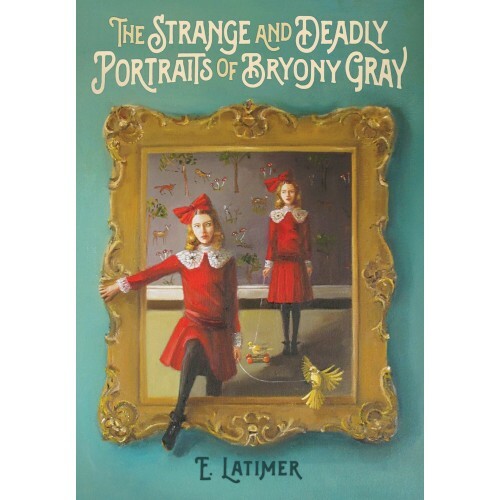 This middle grade novel inspired by The Picture of Dorian Gray is full of thrilling twists and terrifying turns. Sophie Wallace's favorite memory is when her mother made her a cake from scratch for her tenth birthday... but her mother died when she was six. 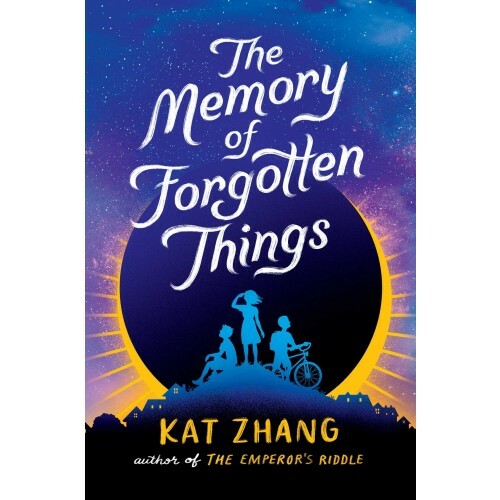 The vivid "memories" convince Sophie that there is an alternate reality where her mother is still alive, and when she meets two classmates with similar questions, she becomes convinced that an upcoming solar eclipse will let her move into that alternate life. But what would she have to give up to make that reality true? Author Kat Zhang sensitively explores both the myth that there is a better life waiting somewhere else, and the challenges and rewards of recovering from grief. 13-year-old Alice has been struggling to hold her family together since her mother's car accident a year ago, but now it seems she's failed: at her mother's request, her dad is moving out and her twin brothers are going to stay with their aunt. 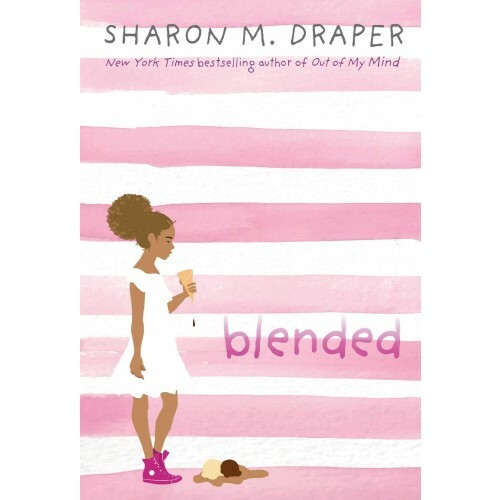 To distract herself, she focuses on her swim team goals — until she develops an unexpected connection with a little girl next door, Piper, who doesn't speak. But when Alice hears Piper say a word one night, she becomes determined to prove she's telling the truth. Both funny and thoughtful, this novel explores responsibility, family, and friendship — and how they intertwine. Maggie thinks of herself as an ordinary girl — until she meets a dragon named Grisha in her hometown of Vienna. The world has forgotten how to see dragons like him, but Maggie and he soon strike up an unlikely friendship. But they also have a mystery to solve: at the beginning of World War II, someone — or something — imprisoned most of the dragons. Together, Grisha and Maggie must find out where the missing dragons are... and how to save them. A quiet novel that hints at everyday magic all around us (if only we know how to look), this atmospheric story explores what it means to find your place in the world.